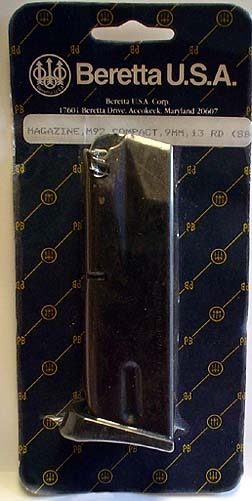 Many more magazines coming in every day, many neat interesting and hard to find, call / E-mail for wants. 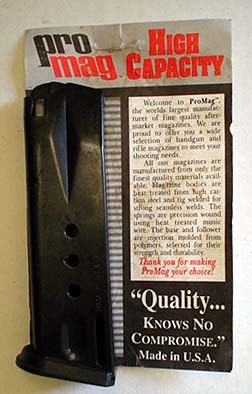 We no longer sell USA, or National, Brand magazines, our customers deserve better. 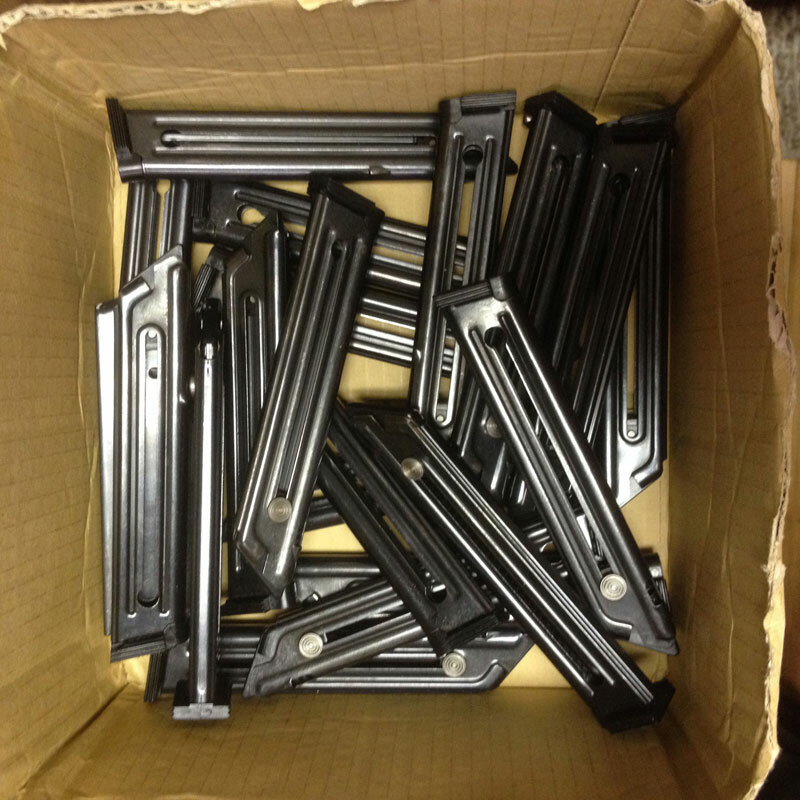 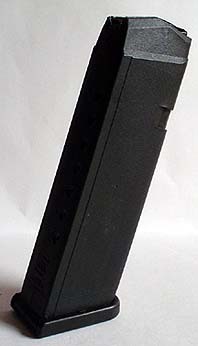 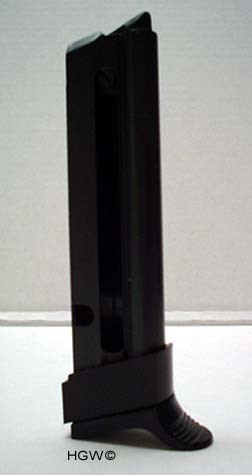 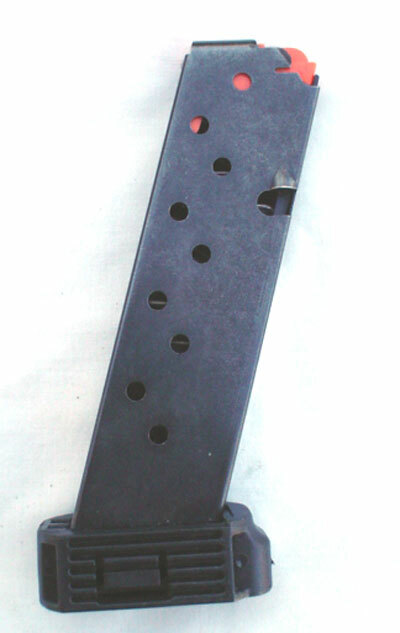 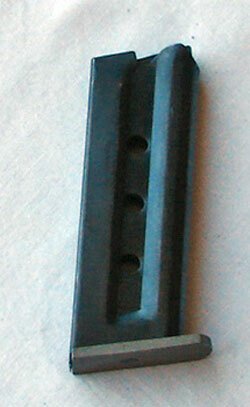 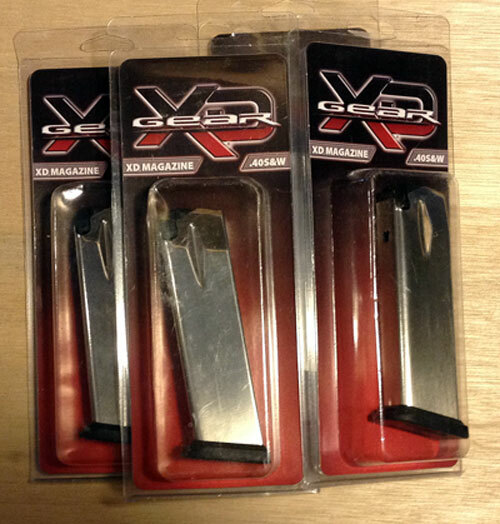 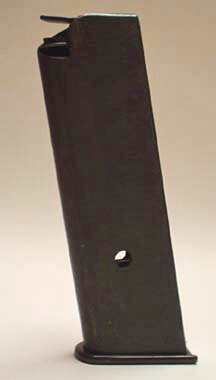 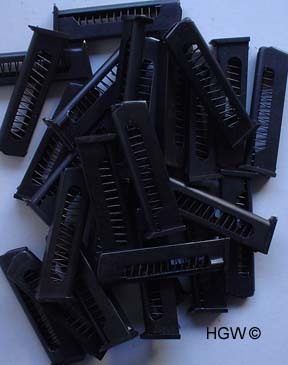 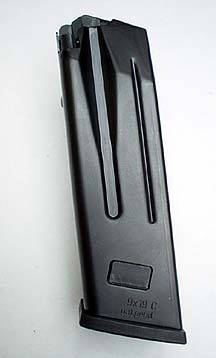 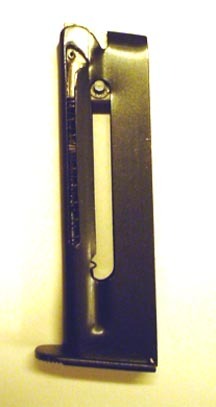 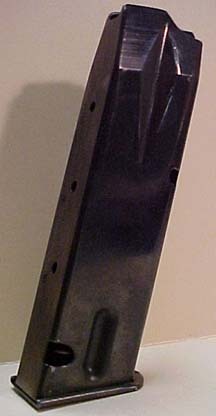 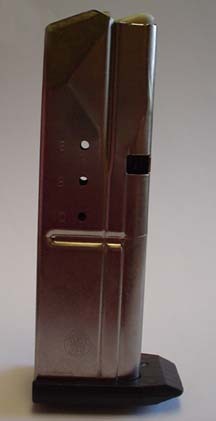 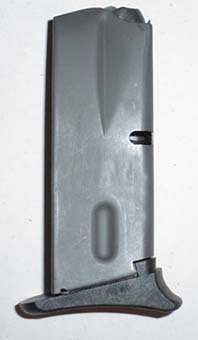 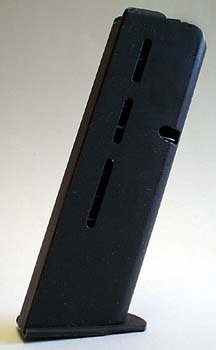 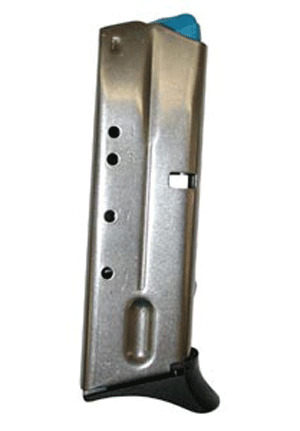 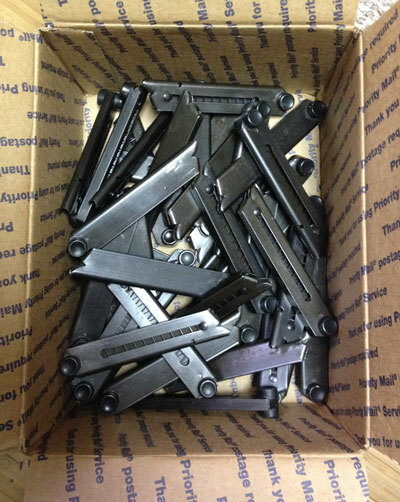 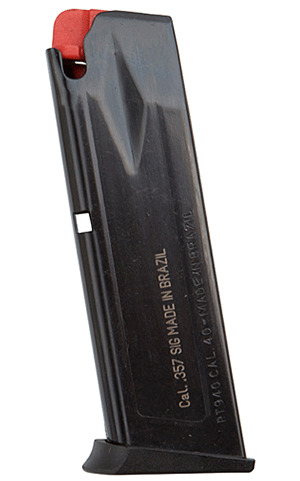 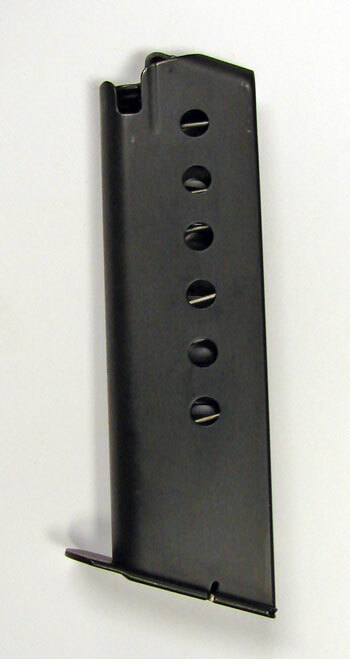 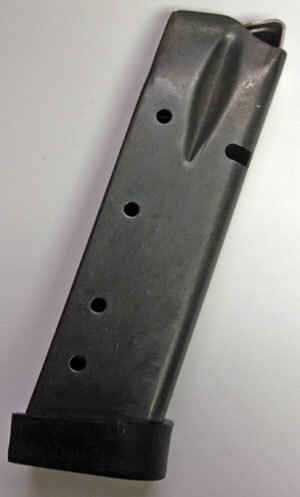 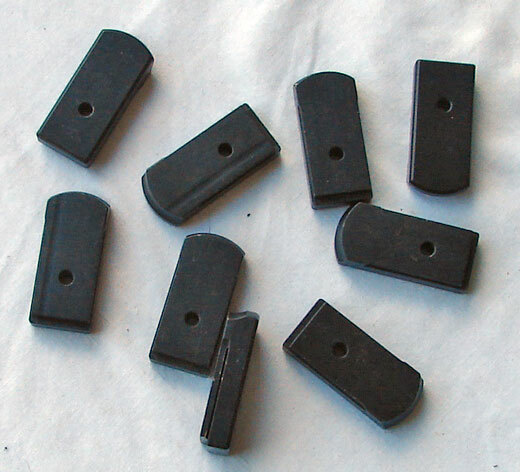 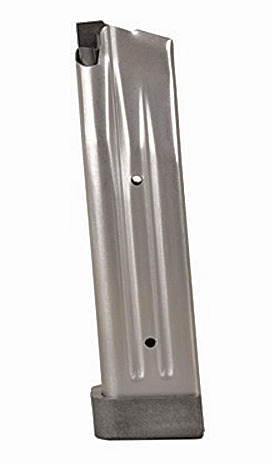 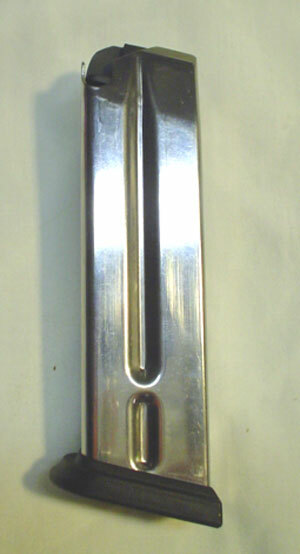 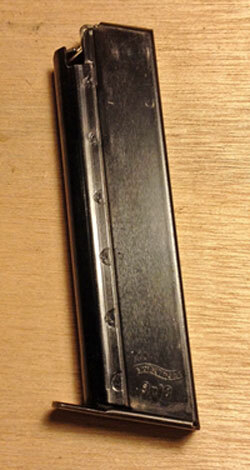 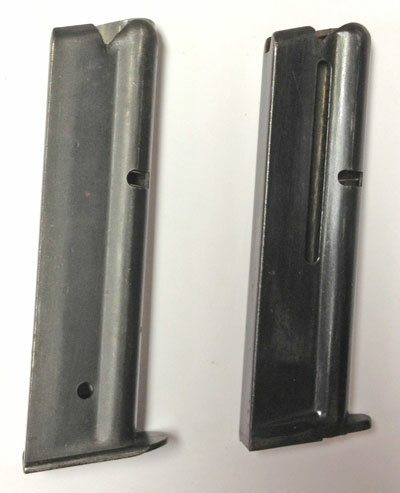 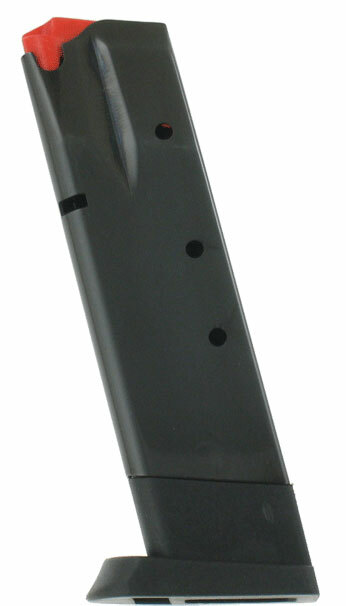 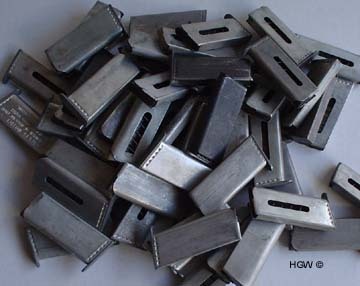 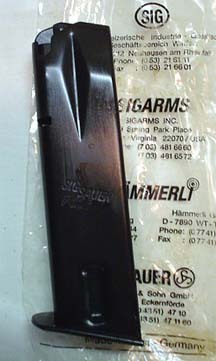 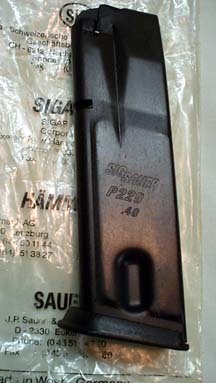 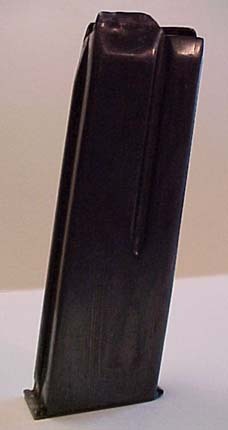 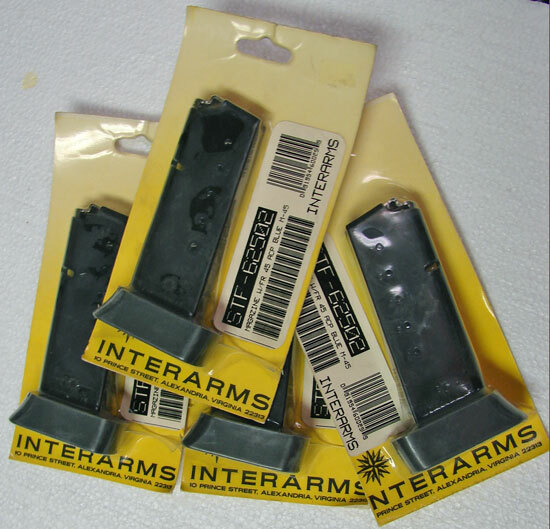 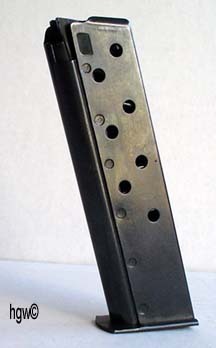 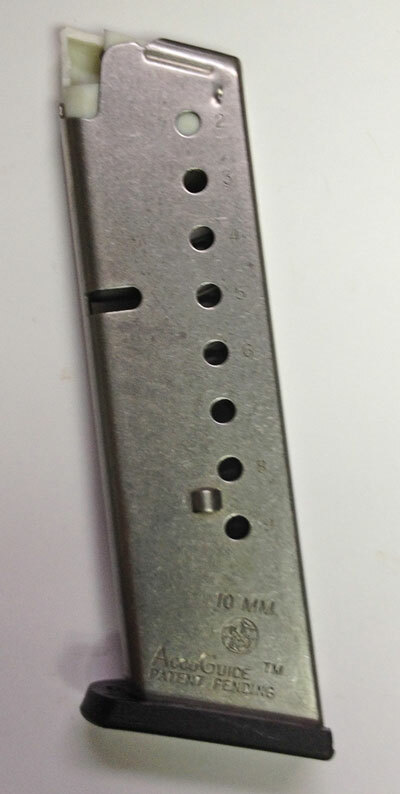 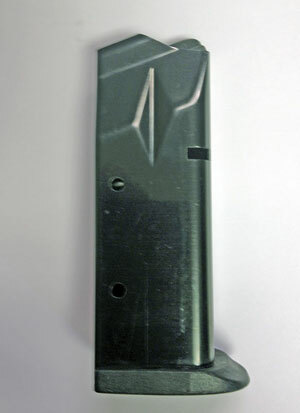 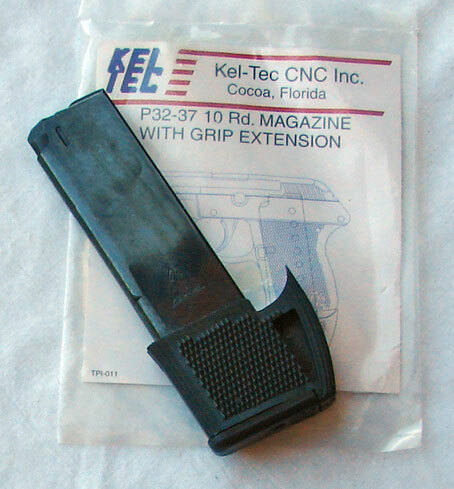 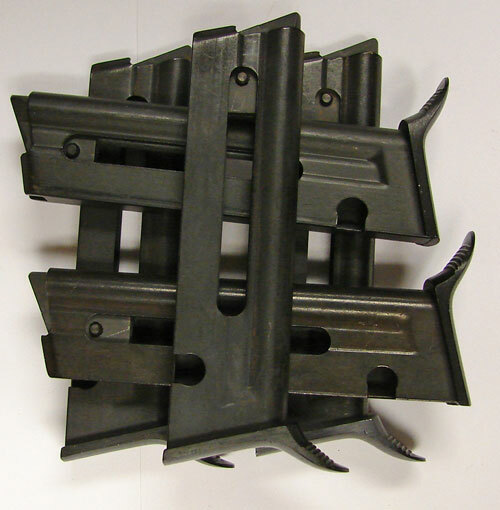 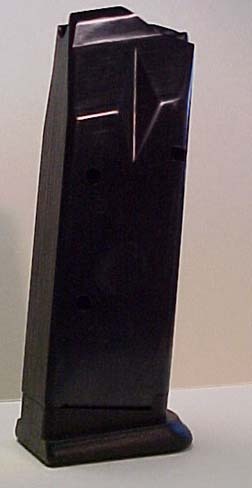 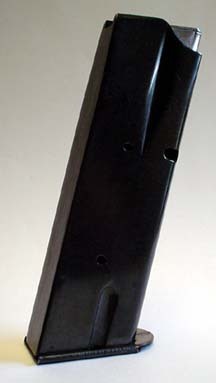 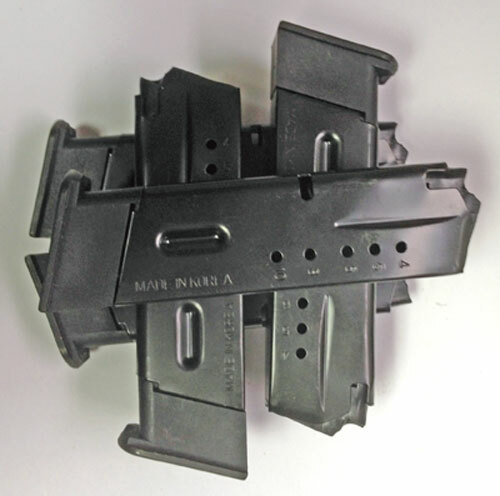 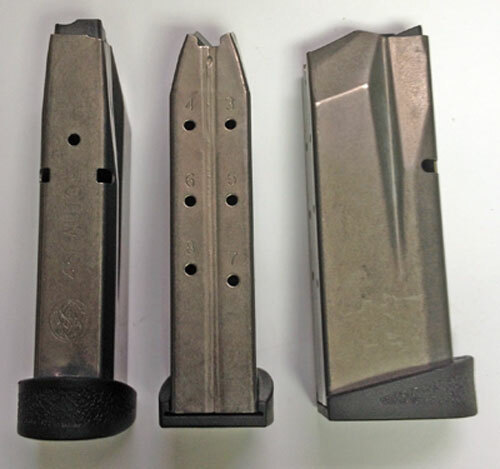 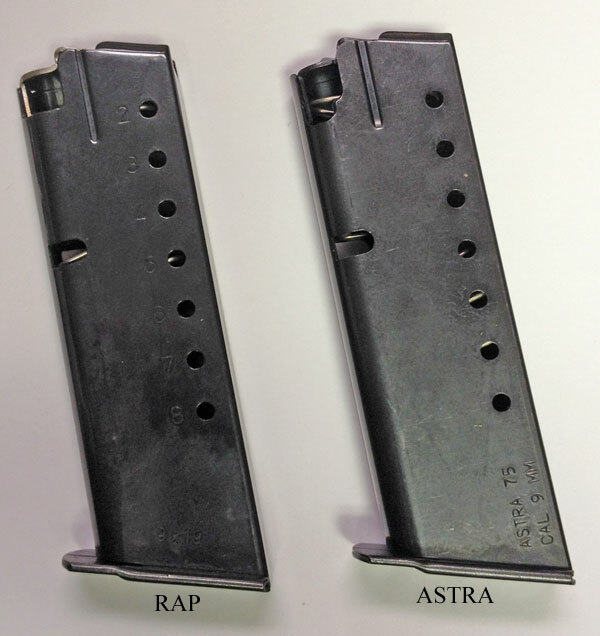 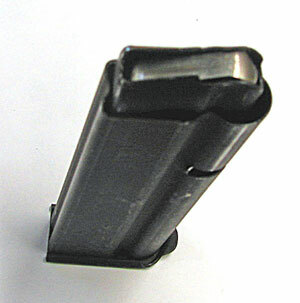 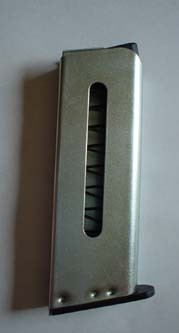 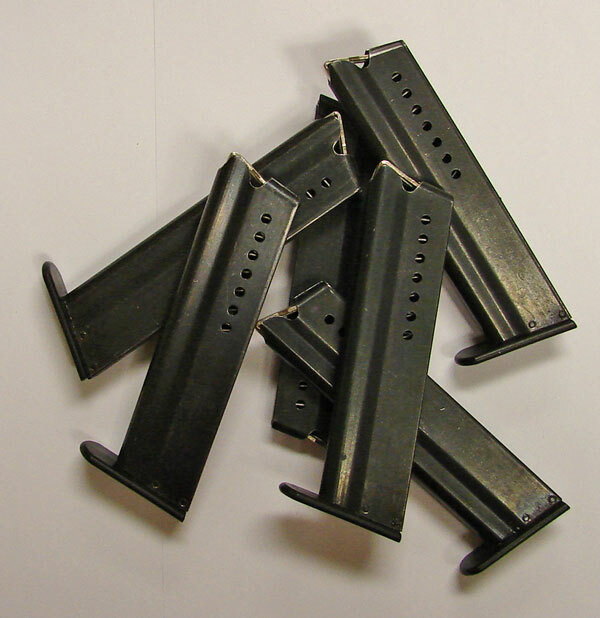 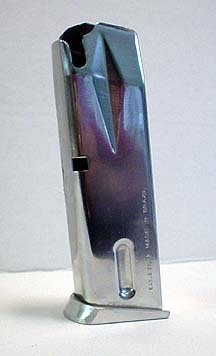 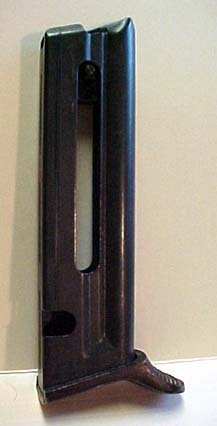 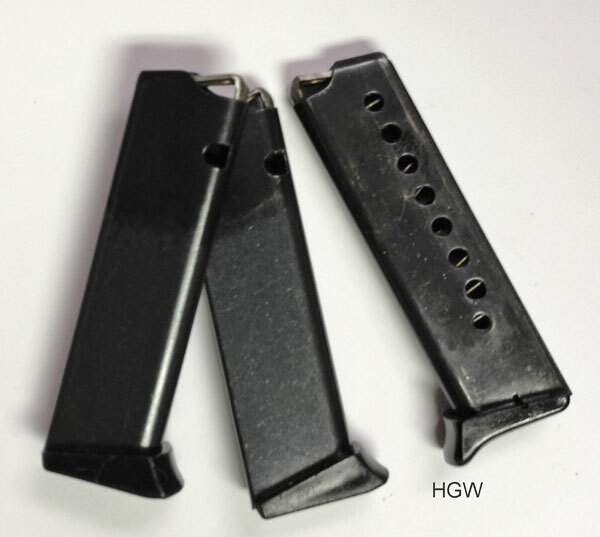 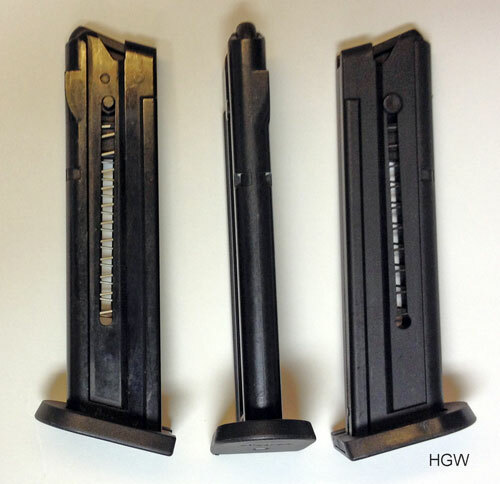 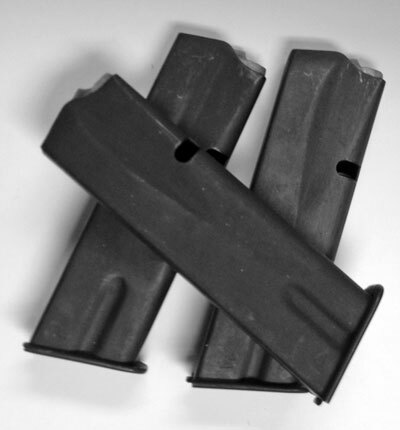 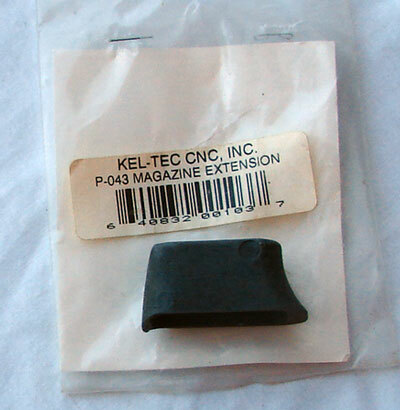 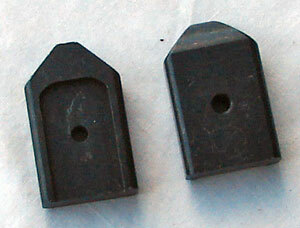 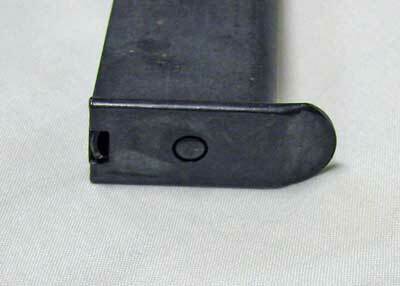 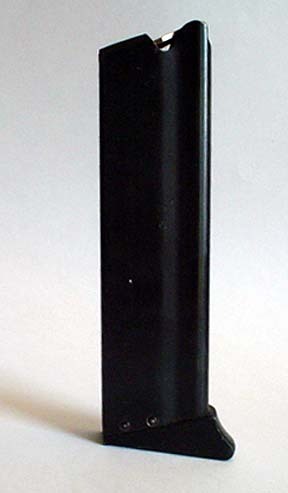 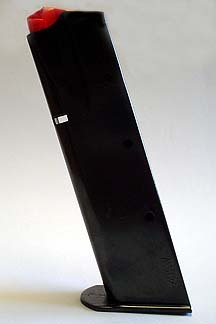 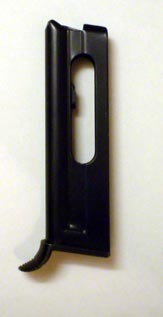 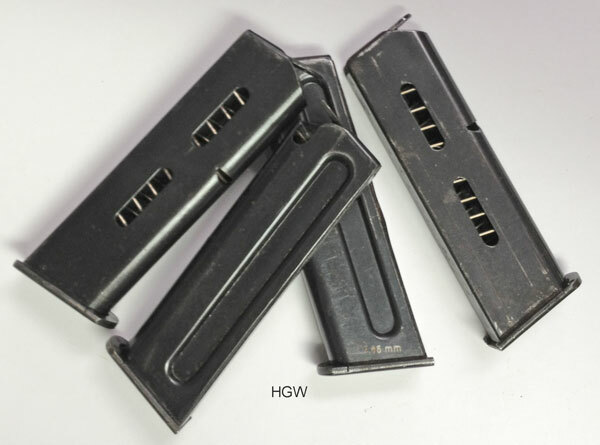 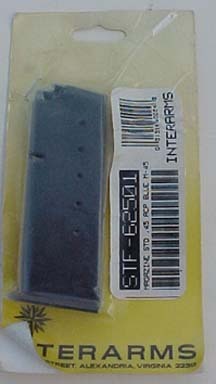 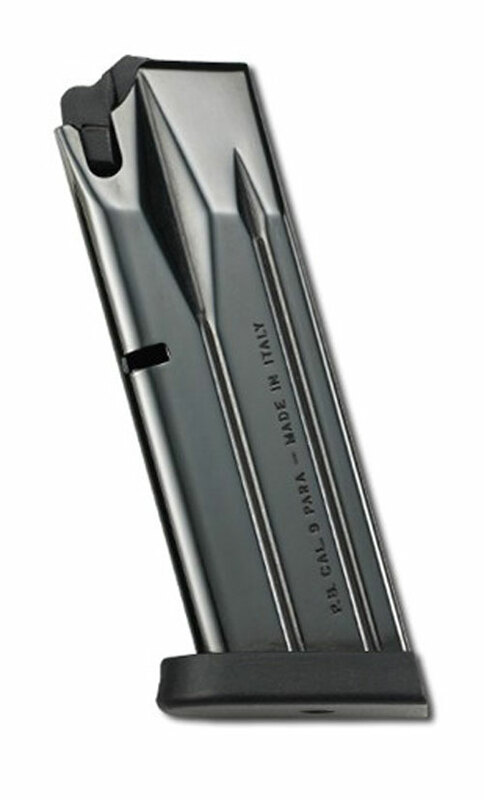 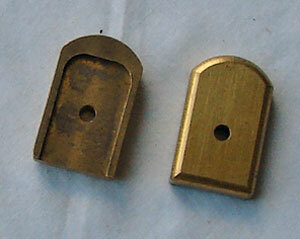 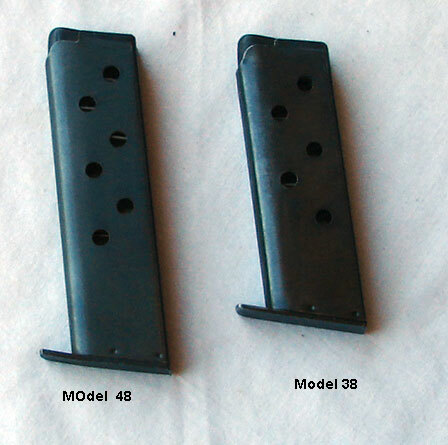 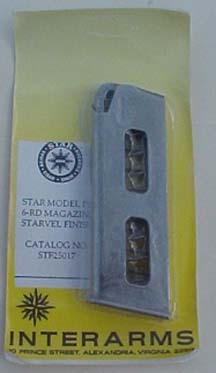 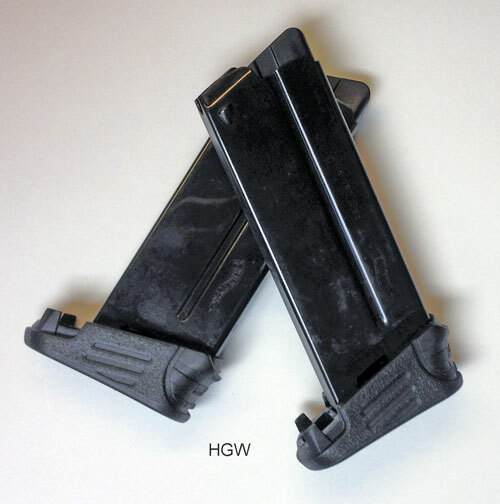 We specialize in Original Manufacturer or Quality Aftermarket magazines. 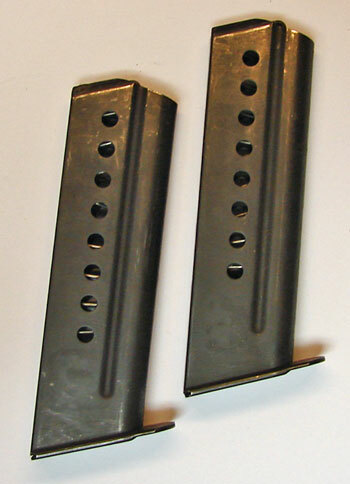 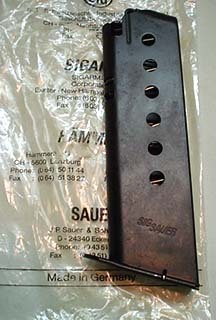 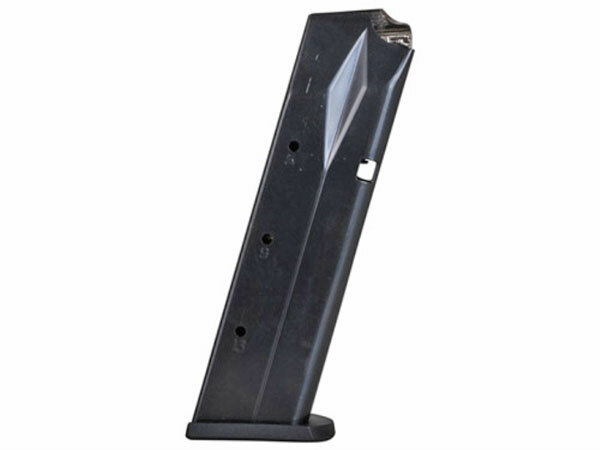 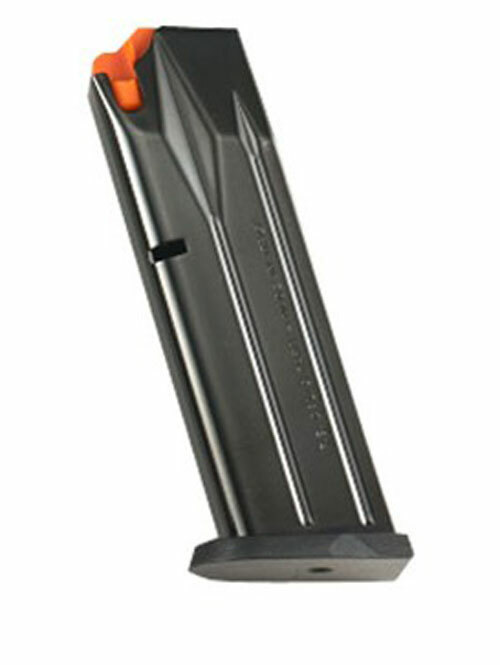 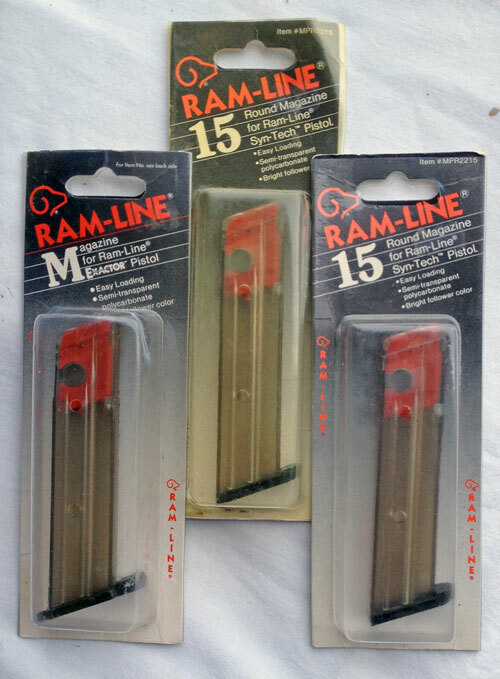 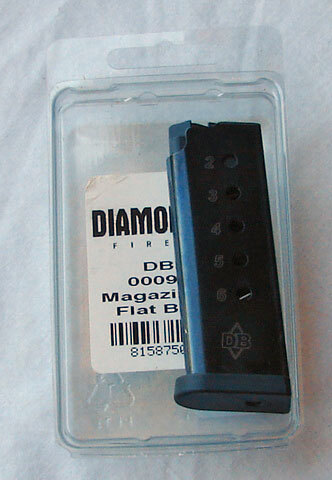 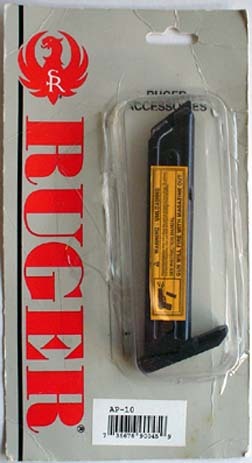 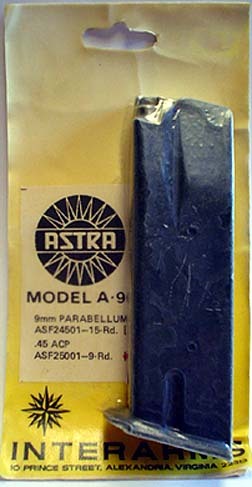 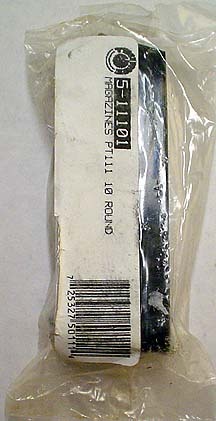 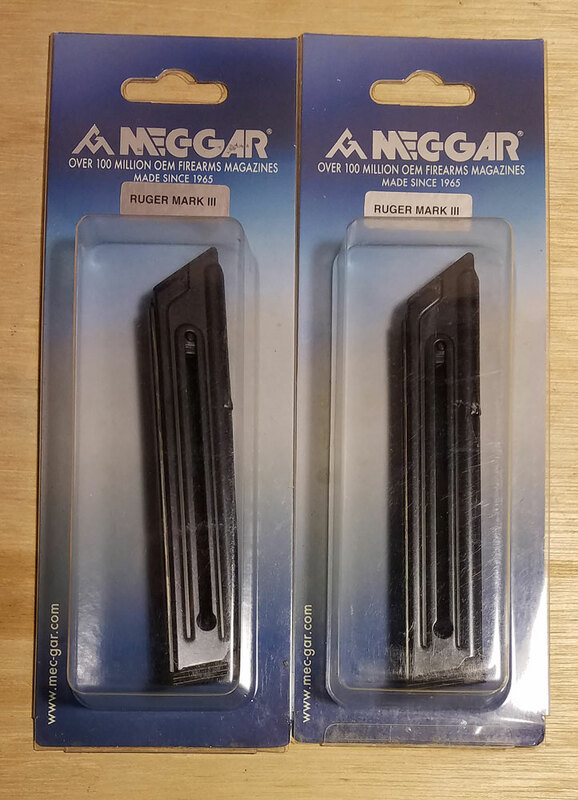 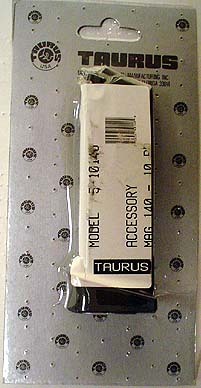 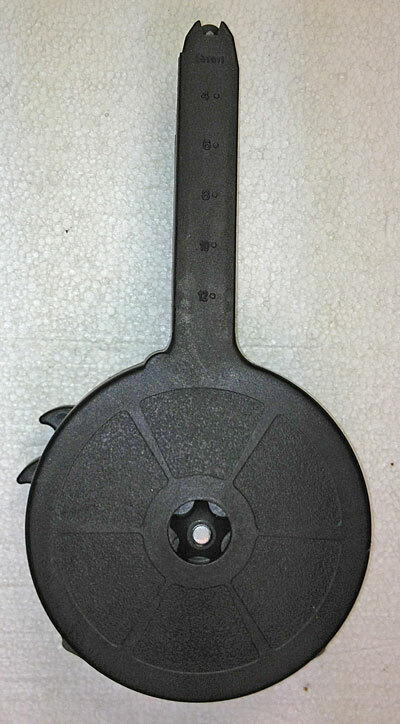 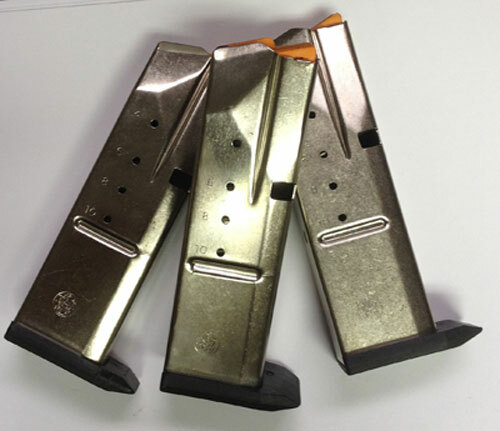 We cannot ship magazines over 10 rounds to Chicago, IL Area. 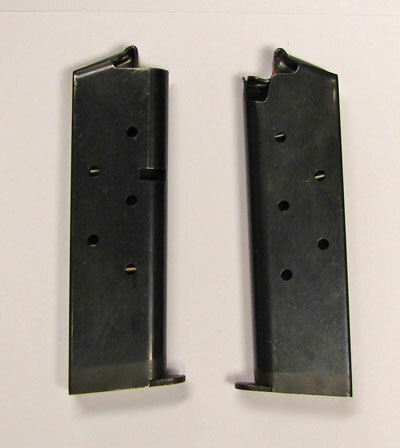 Vail and Denver , Co.
We cannot ship magazines over 15 rounds to , Aurora Illinois, and South Bend Indiana. 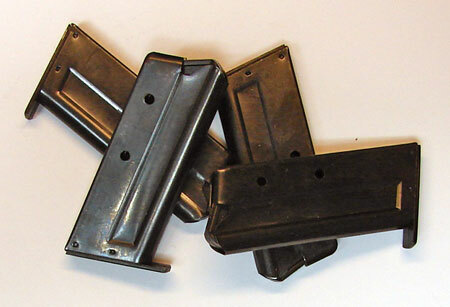 We cannot ship magazines over 10 rounds to Maryland and Wichita, KS. 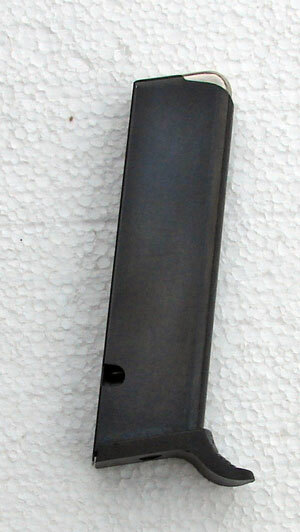 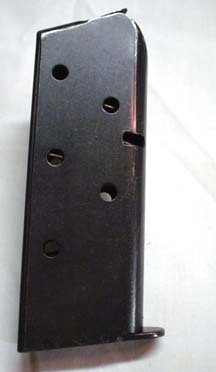 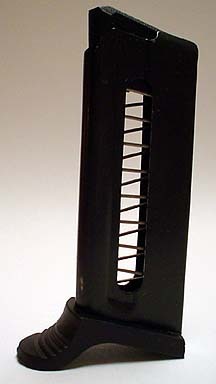 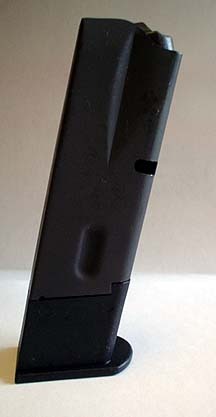 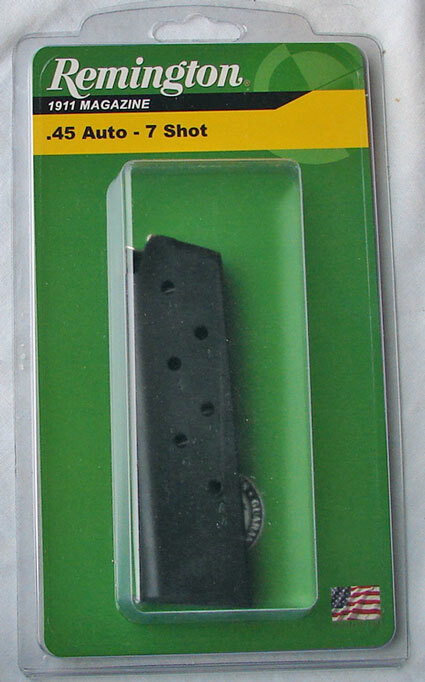 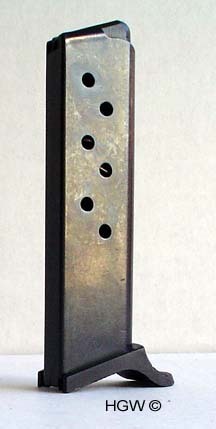 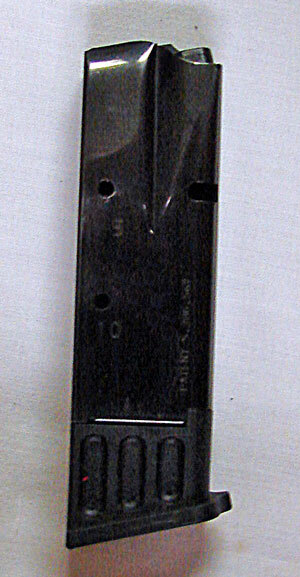 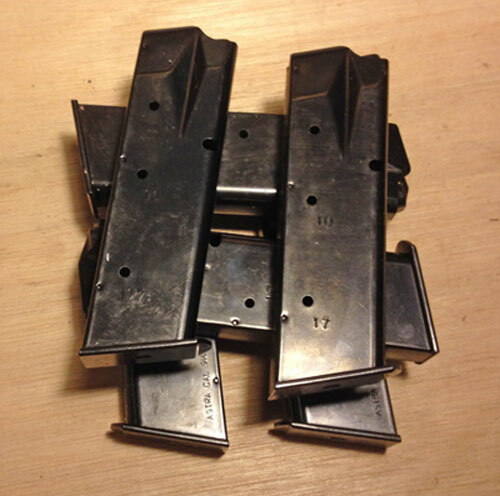 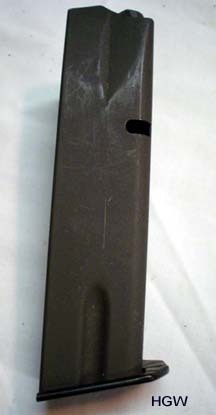 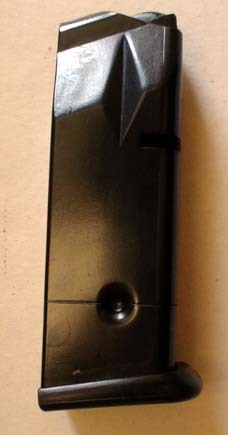 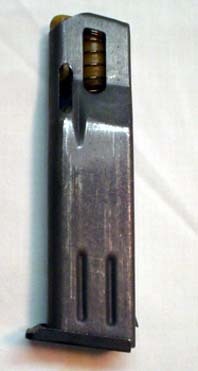 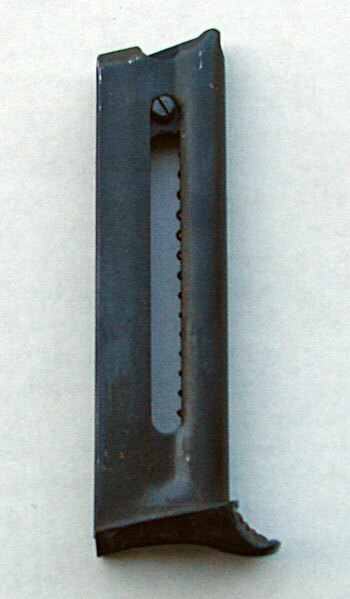 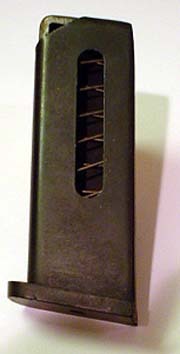 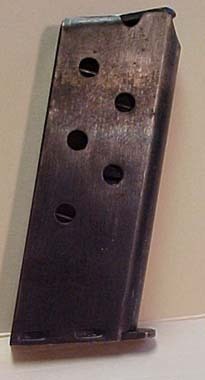 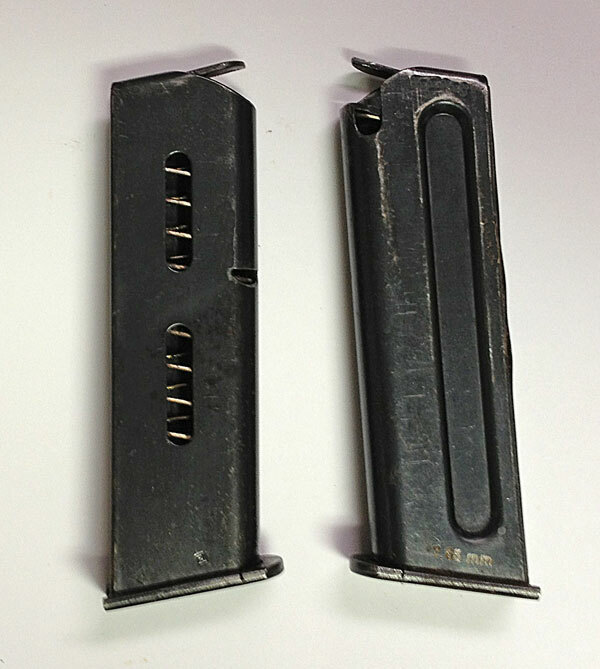 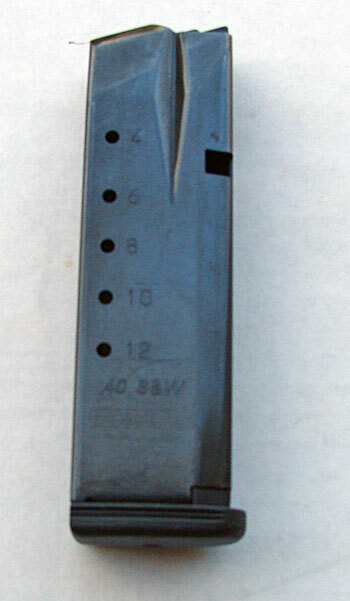 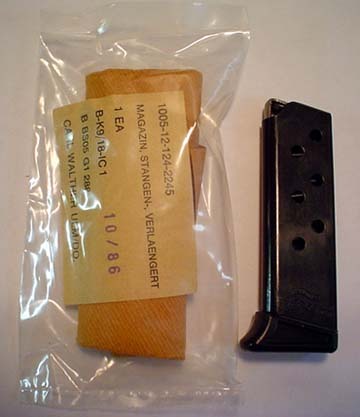 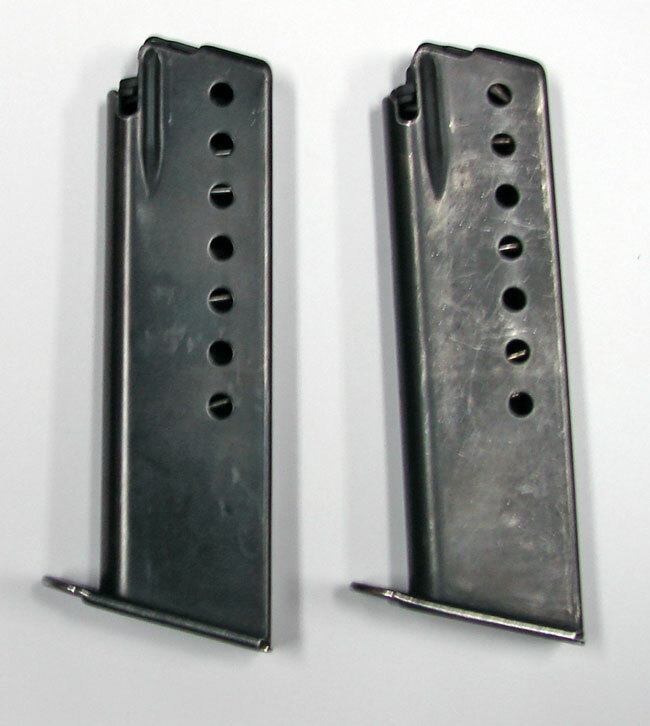 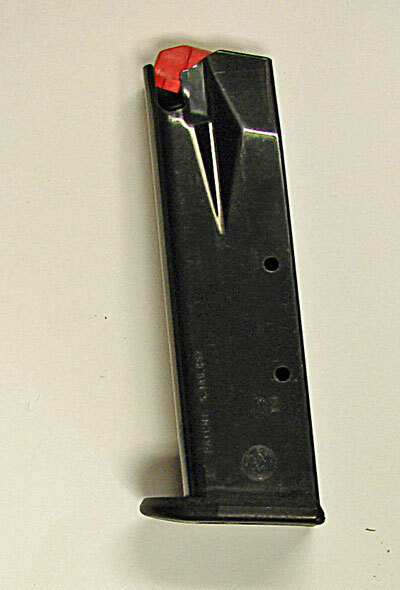 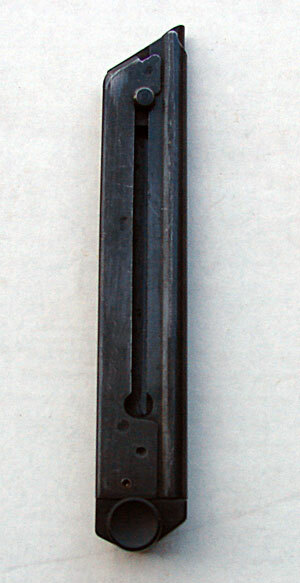 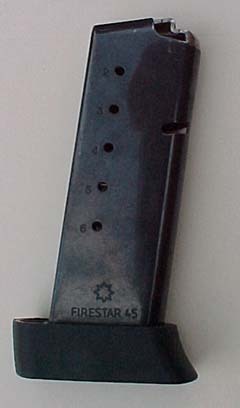 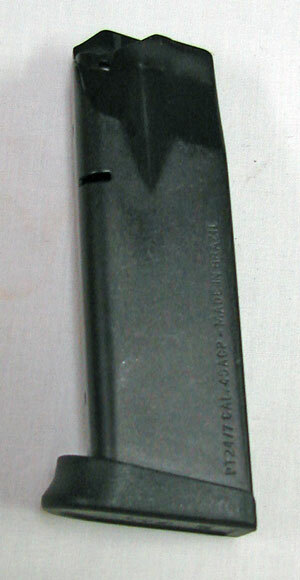 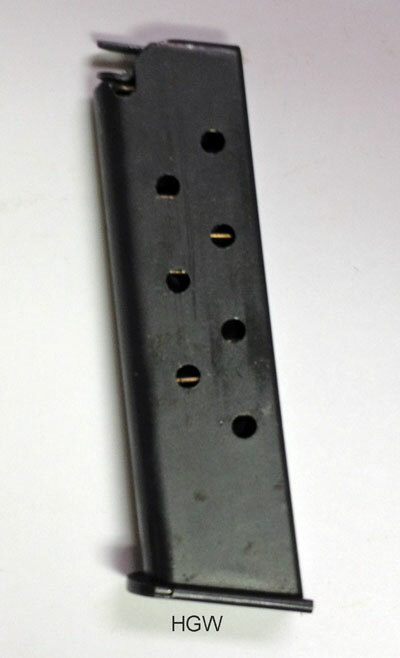 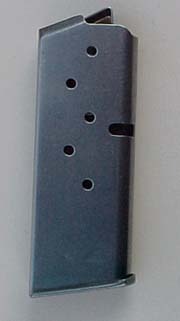 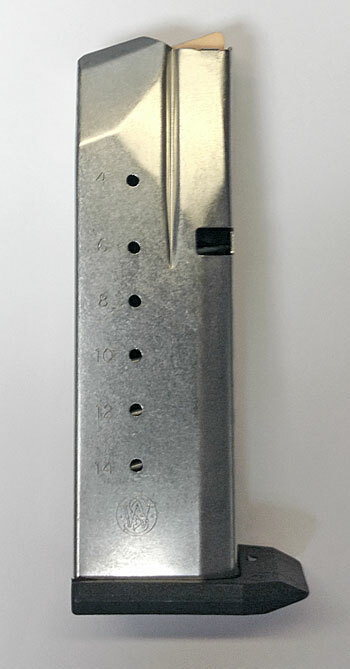 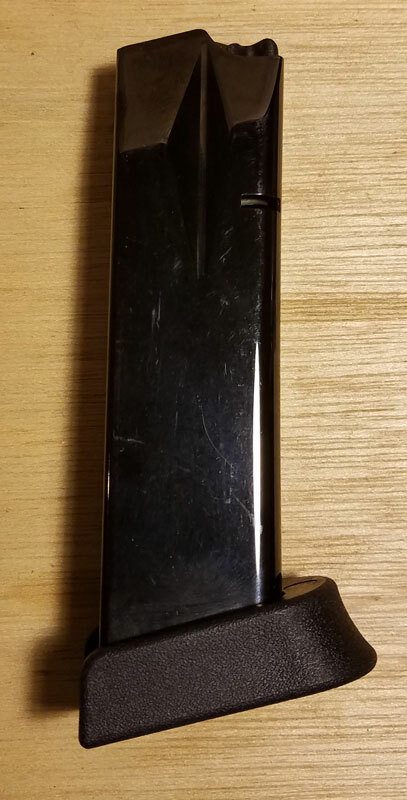 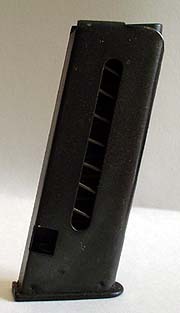 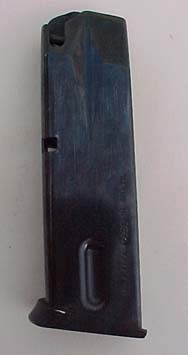 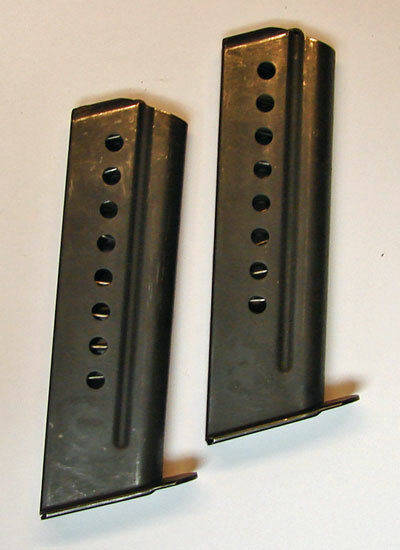 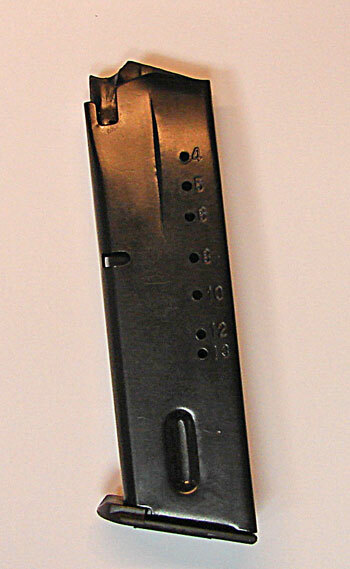 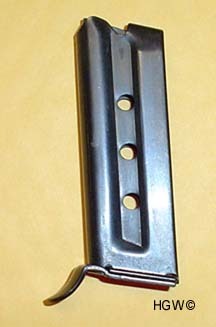 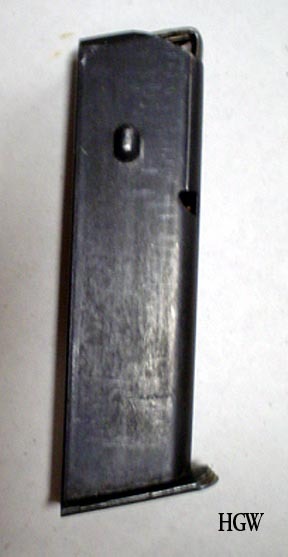 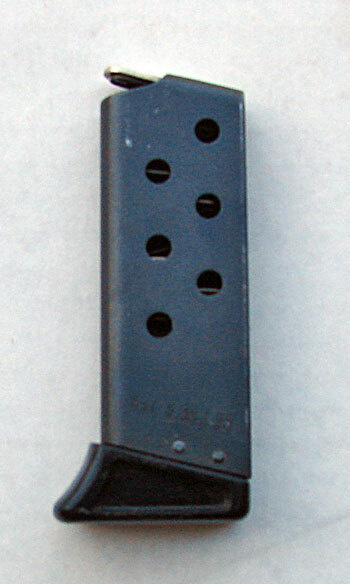 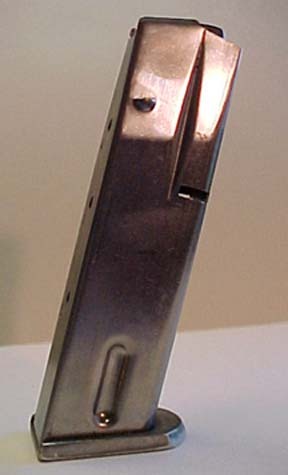 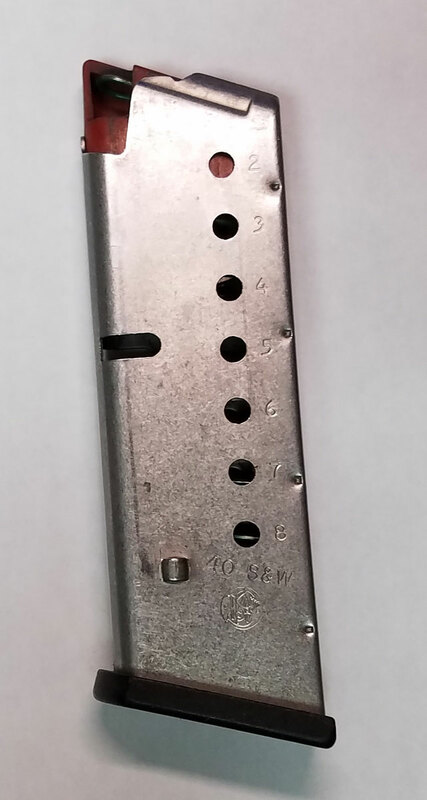 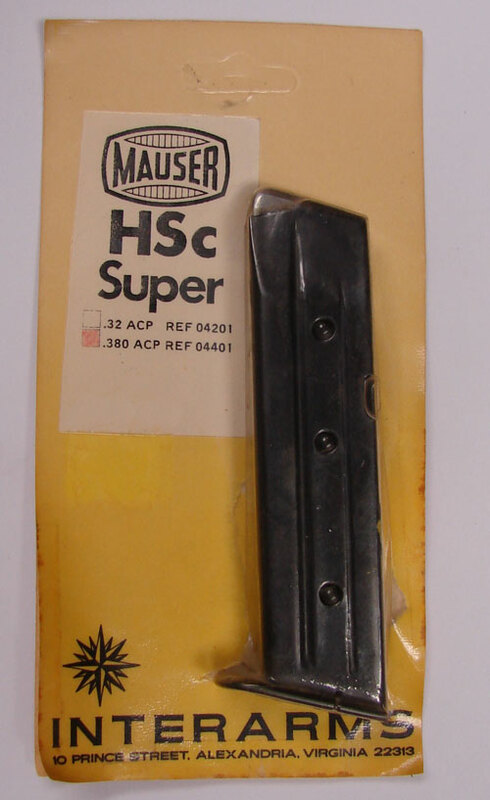 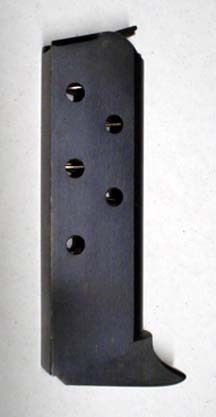 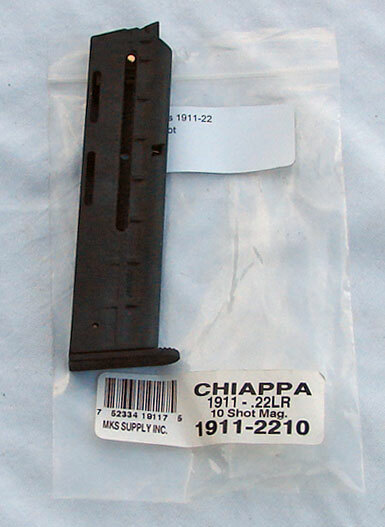 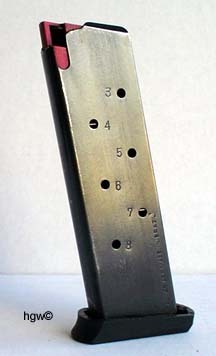 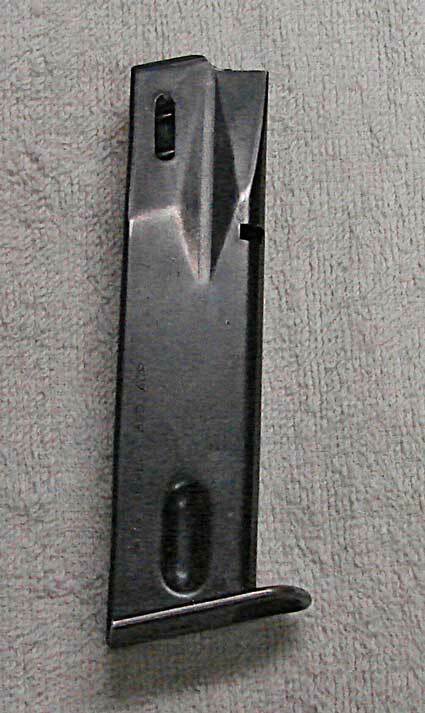 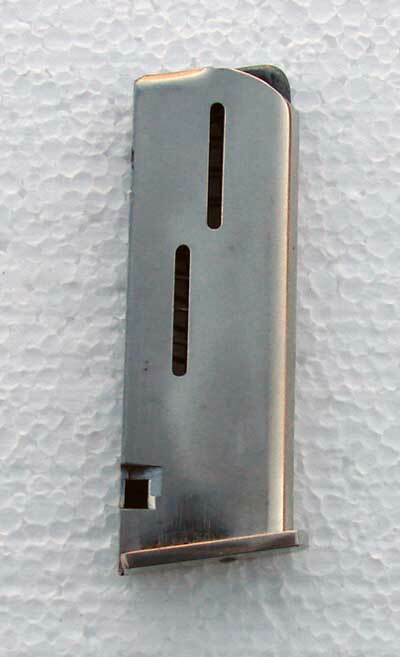 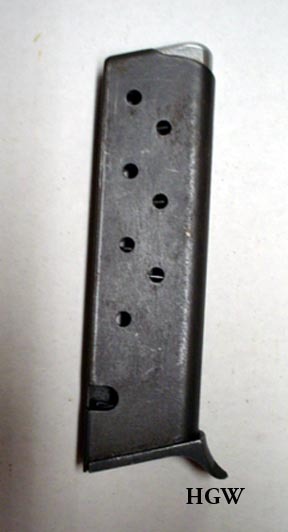 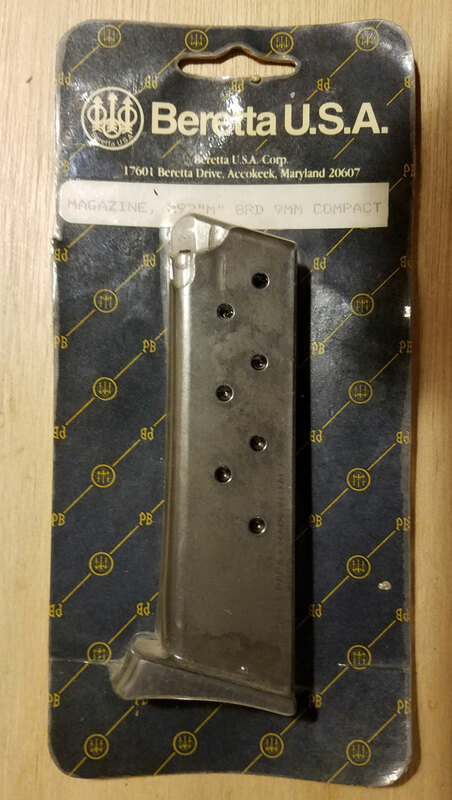 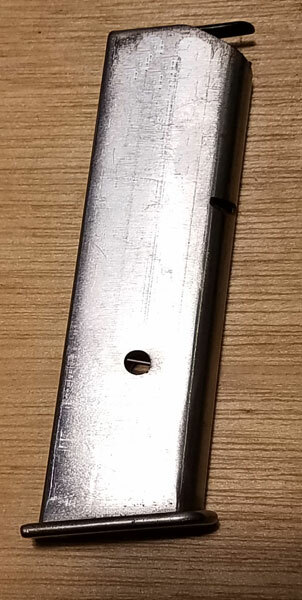 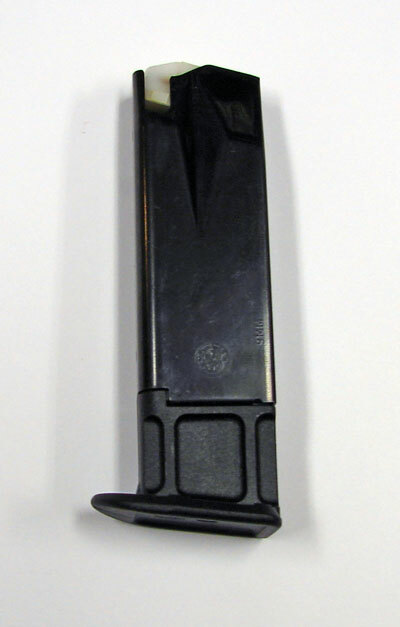 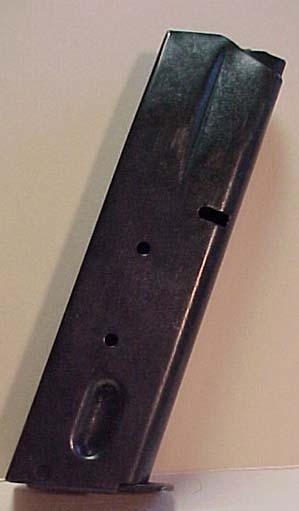 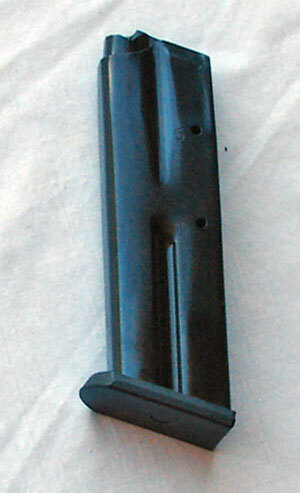 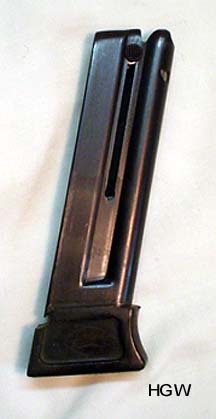 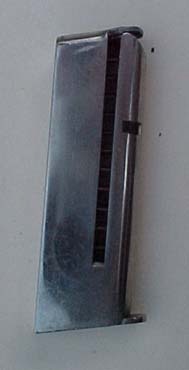 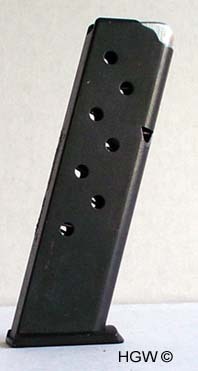 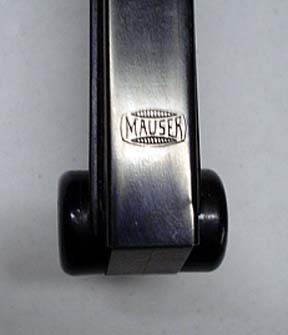 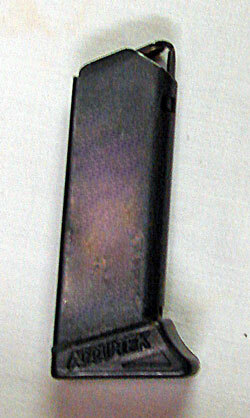 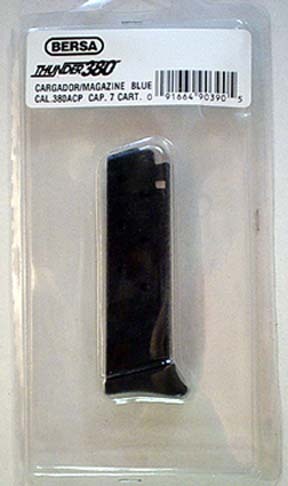 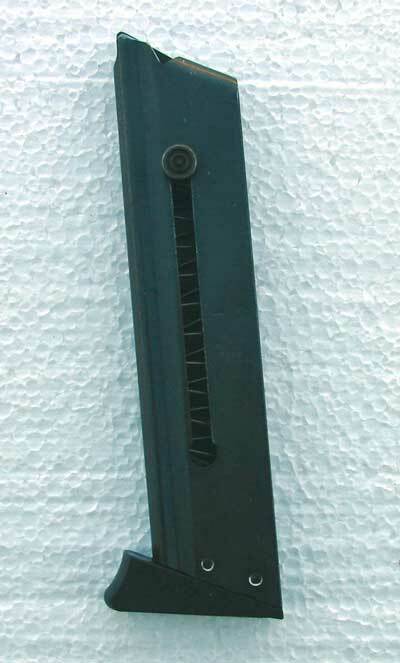 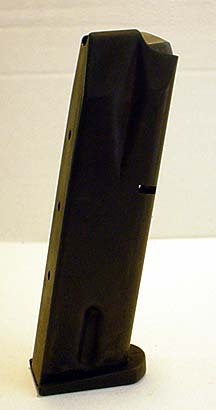 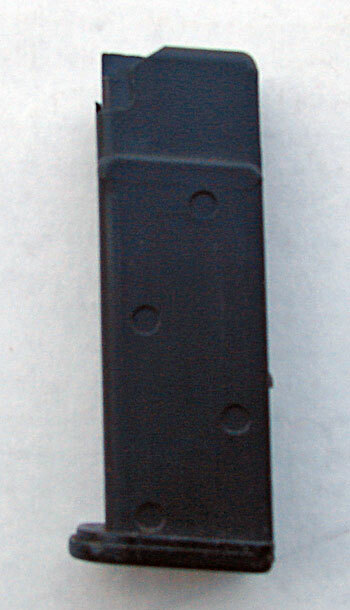 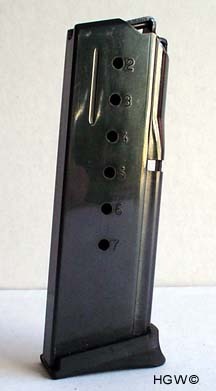 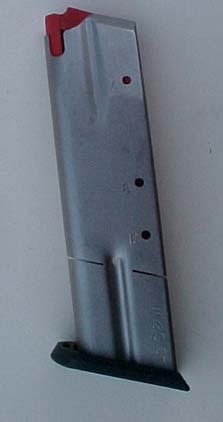 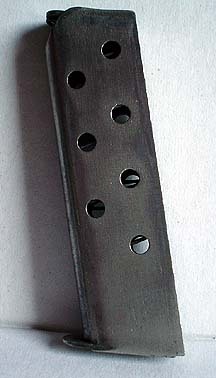 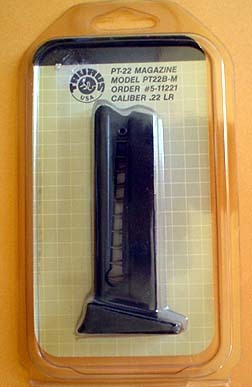 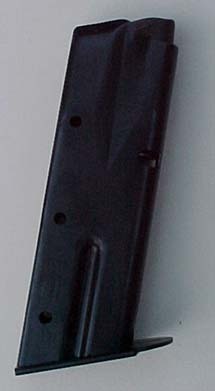 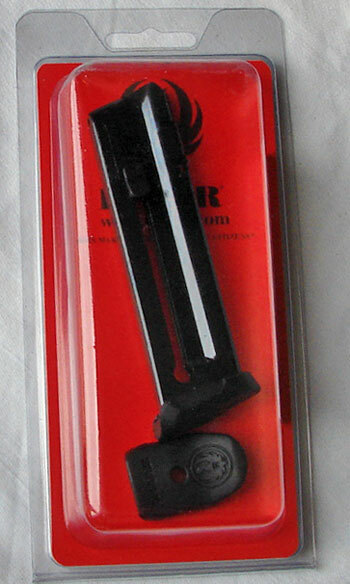 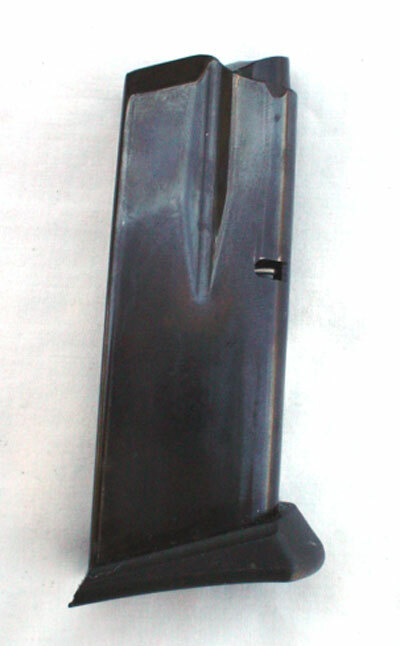 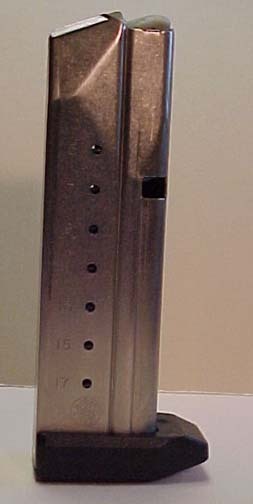 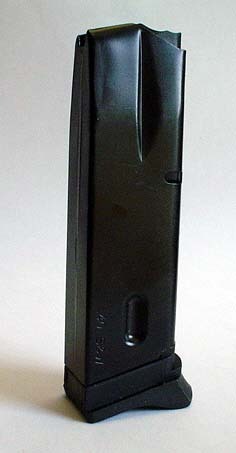 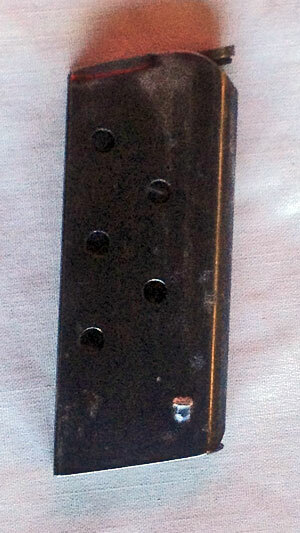 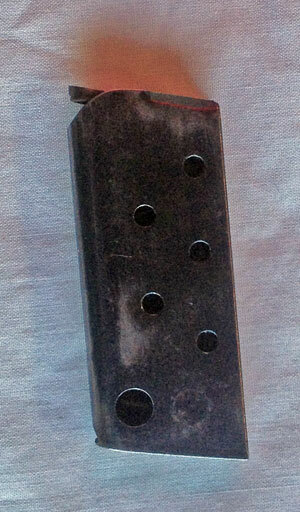 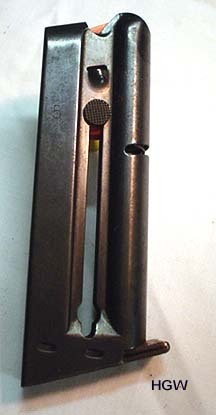 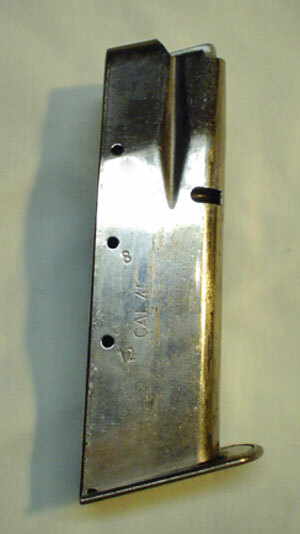 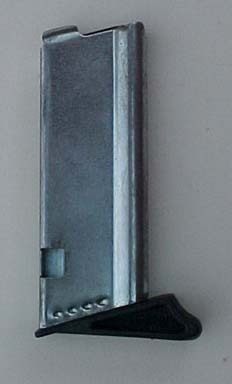 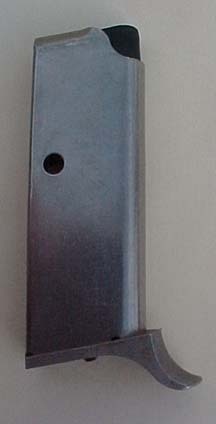 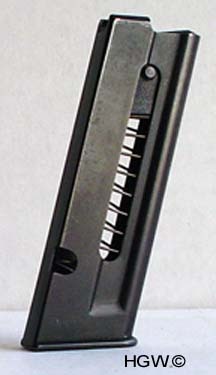 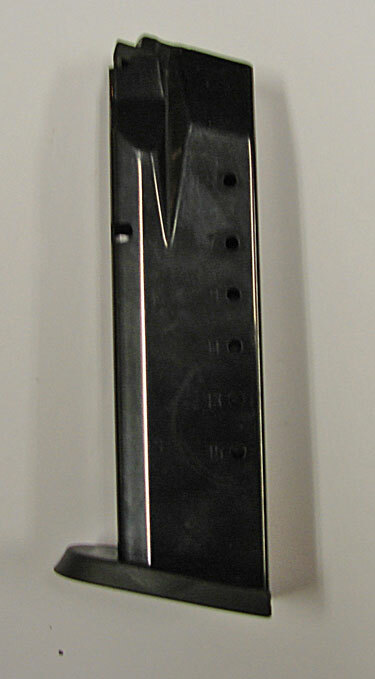 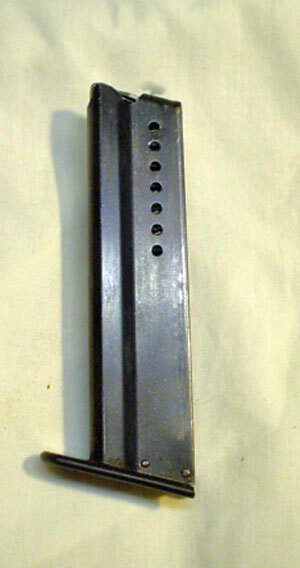 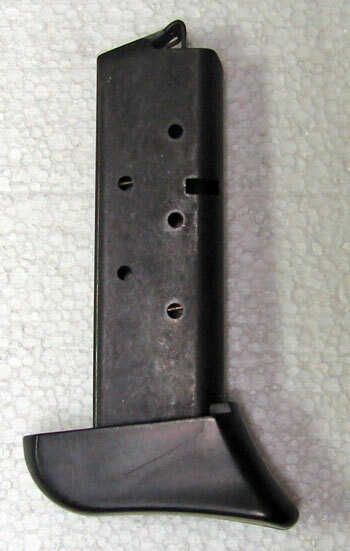 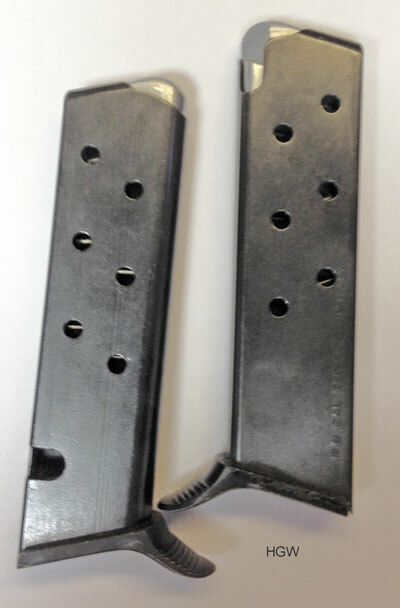 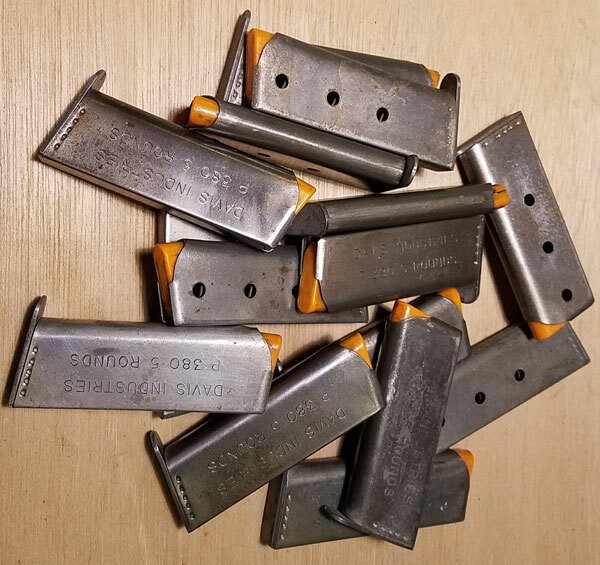 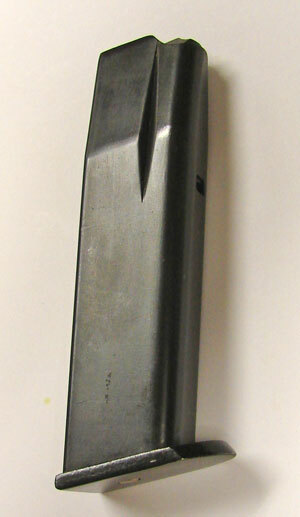 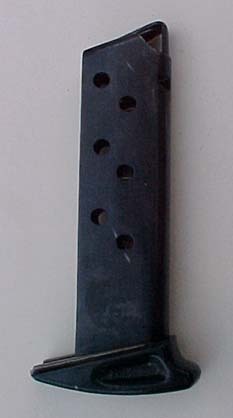 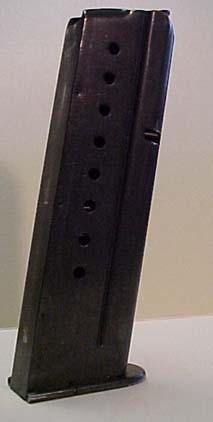 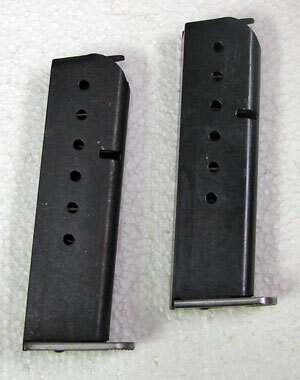 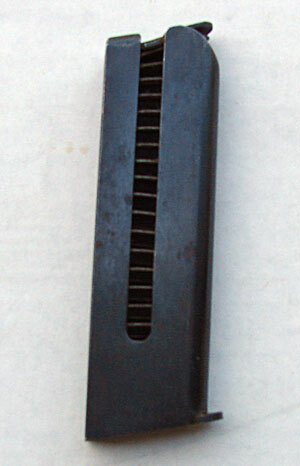 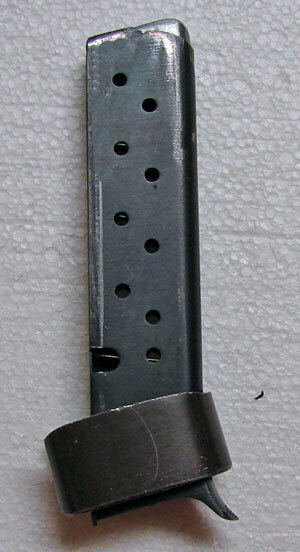 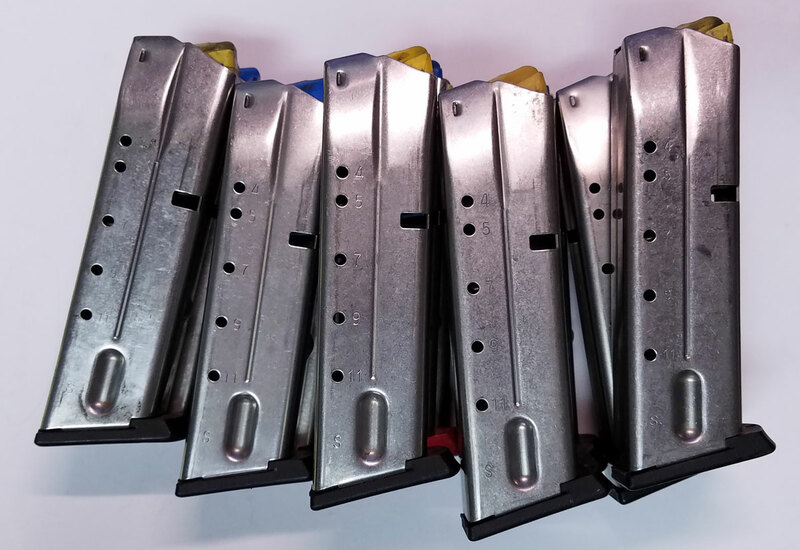 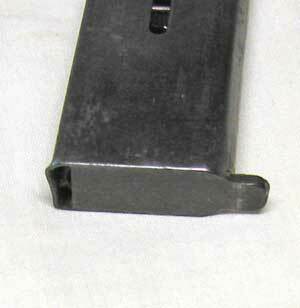 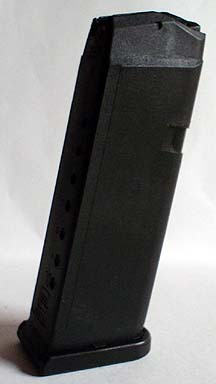 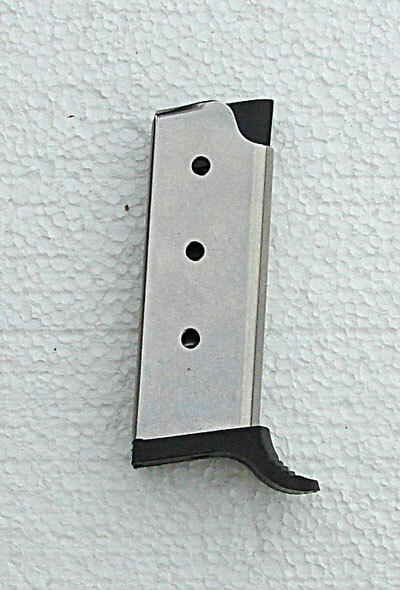 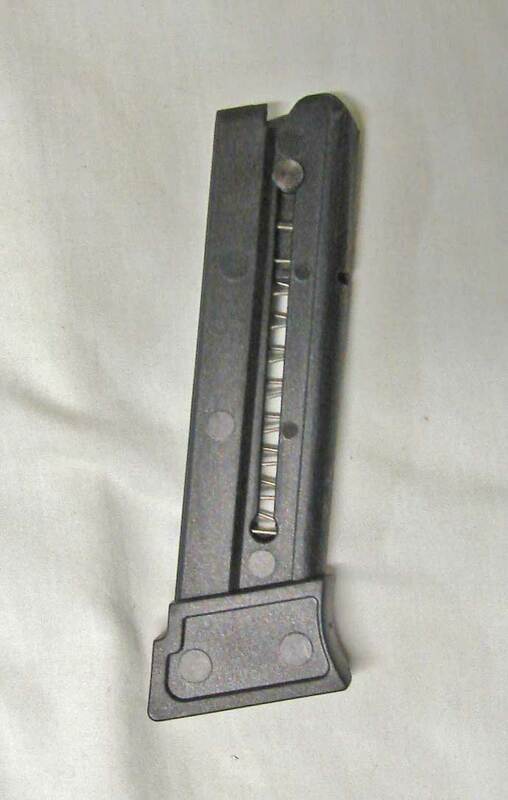 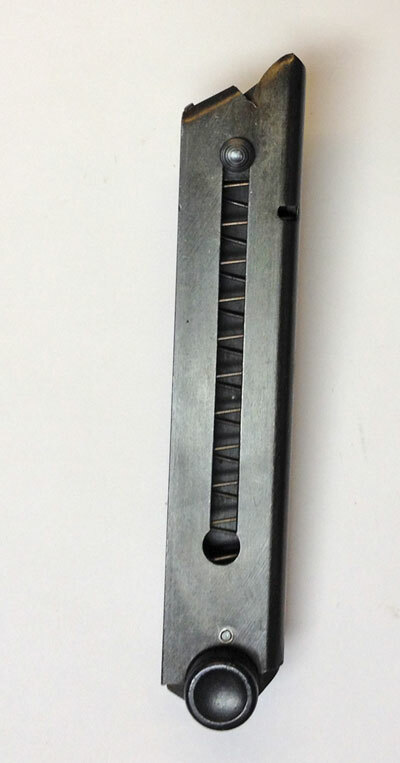 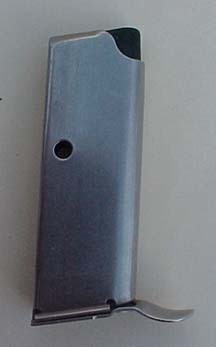 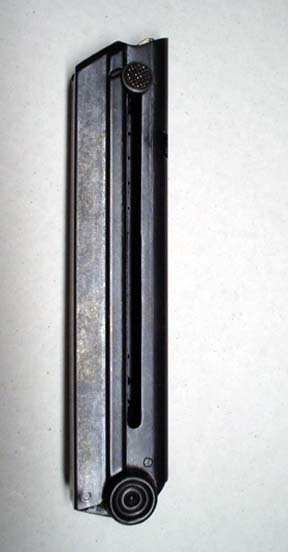 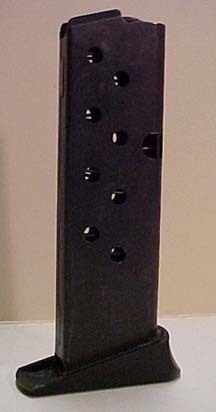 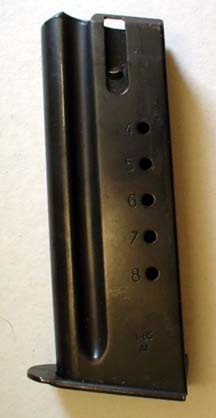 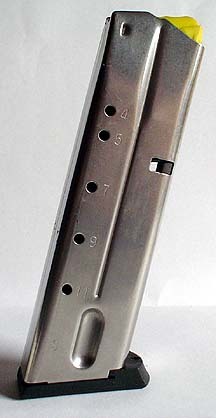 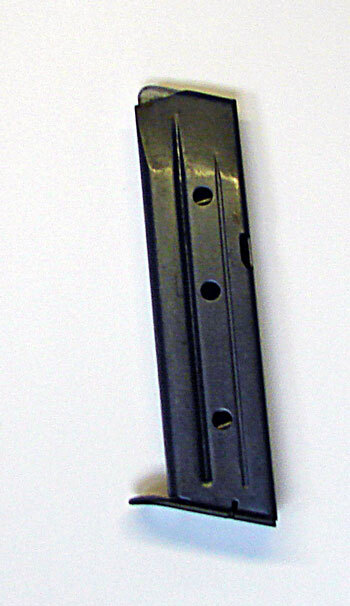 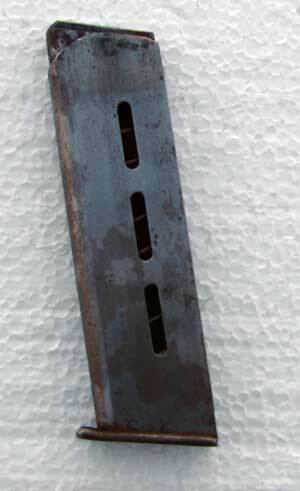 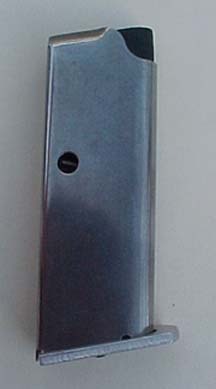 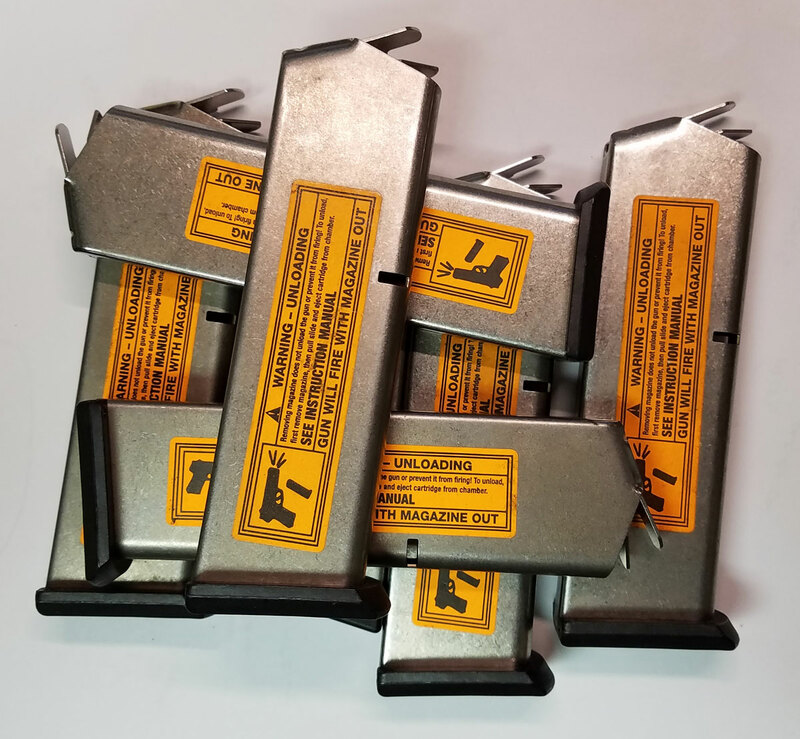 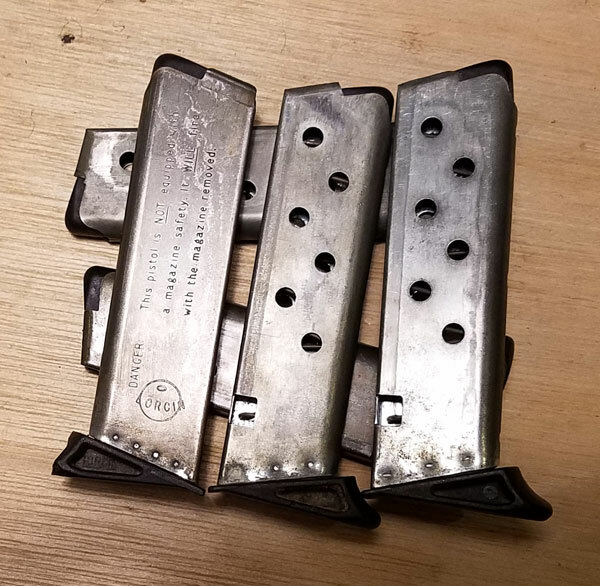 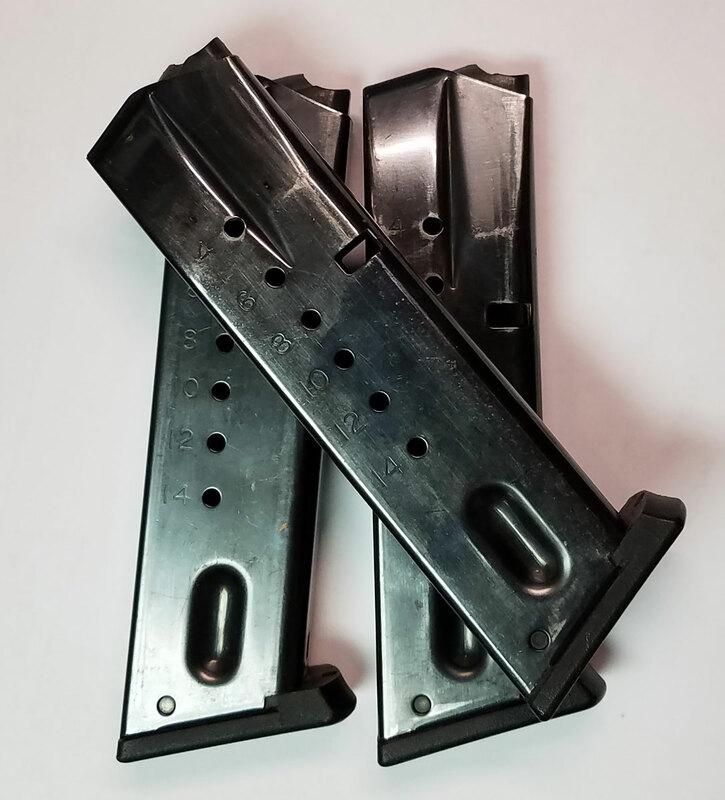 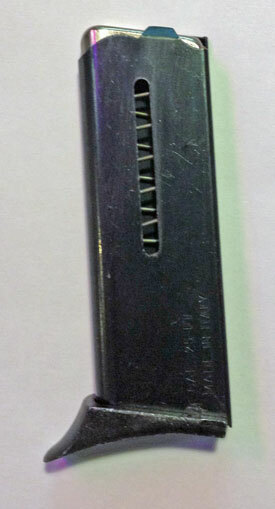 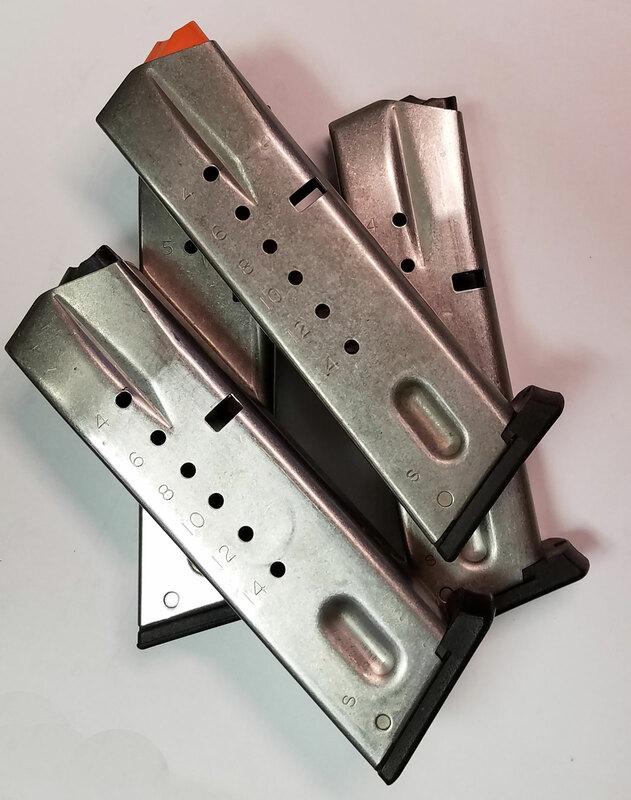 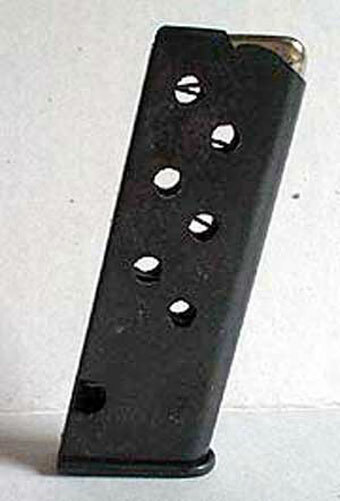 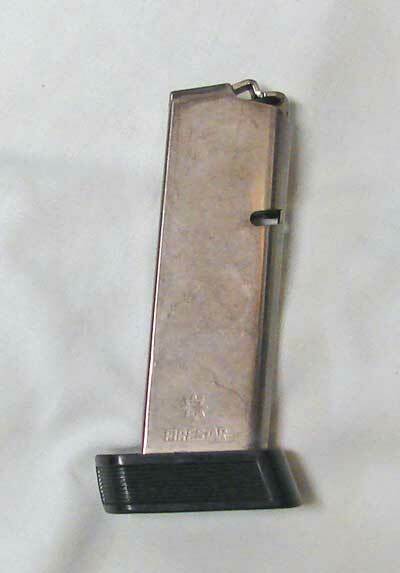 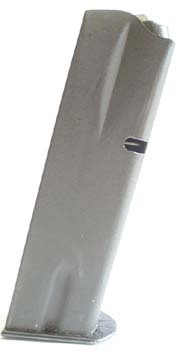 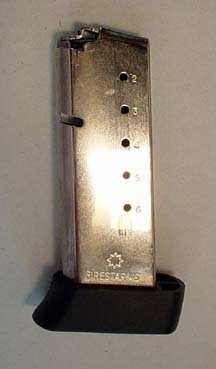 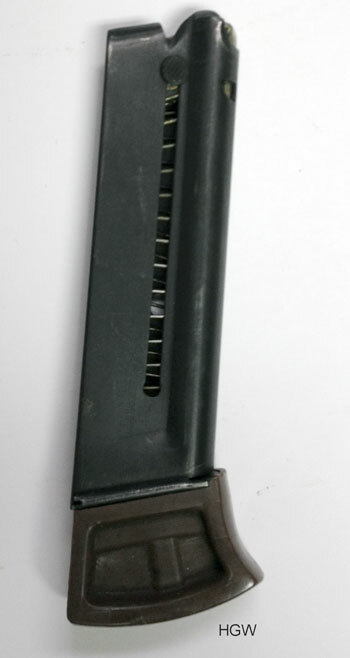 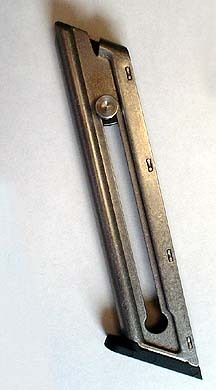 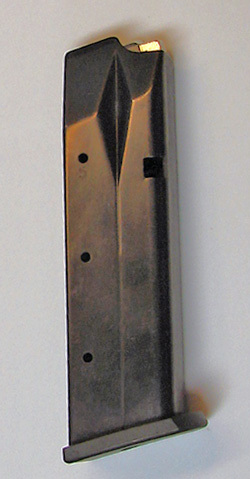 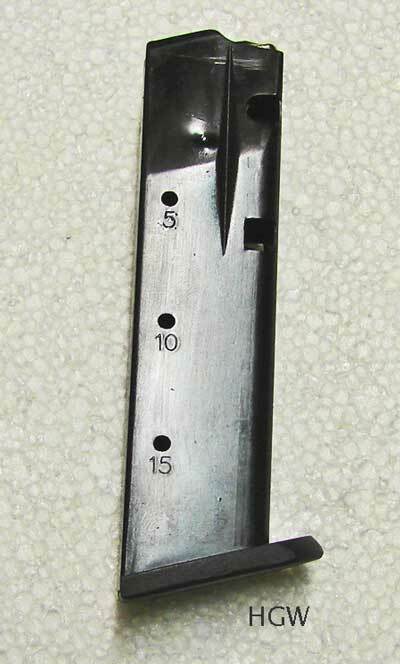 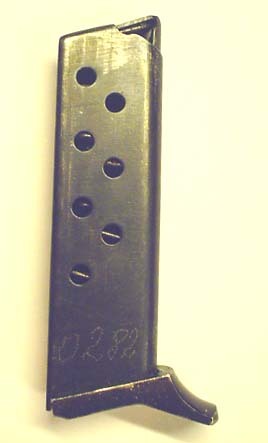 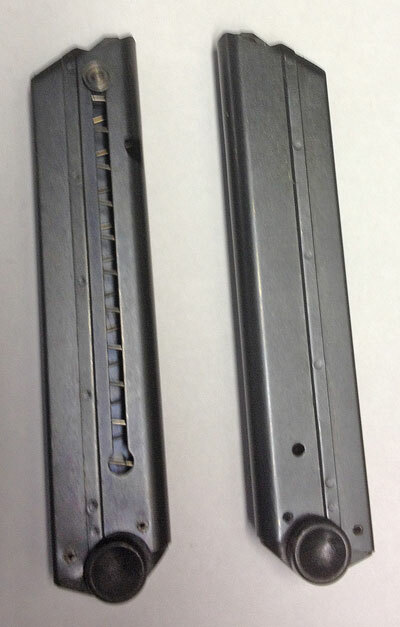 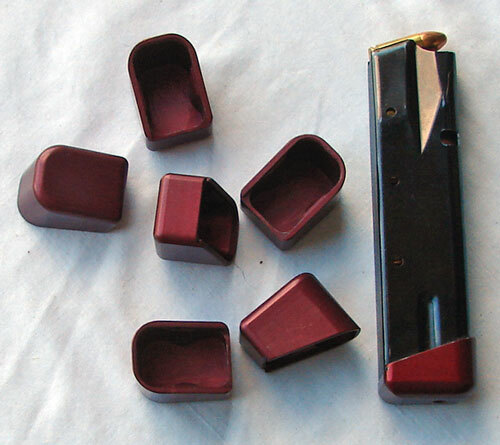 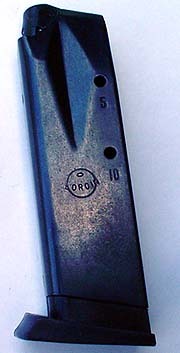 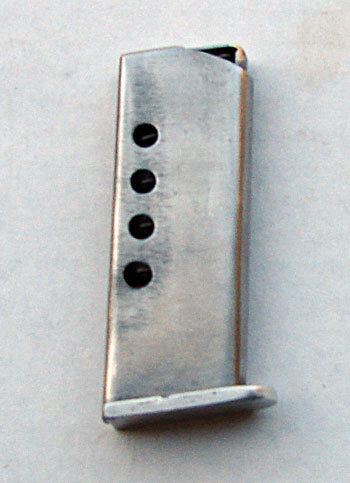 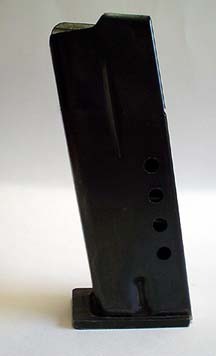 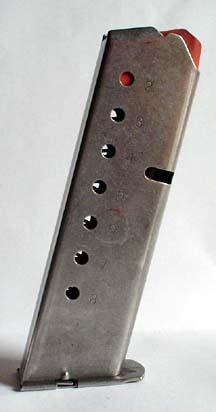 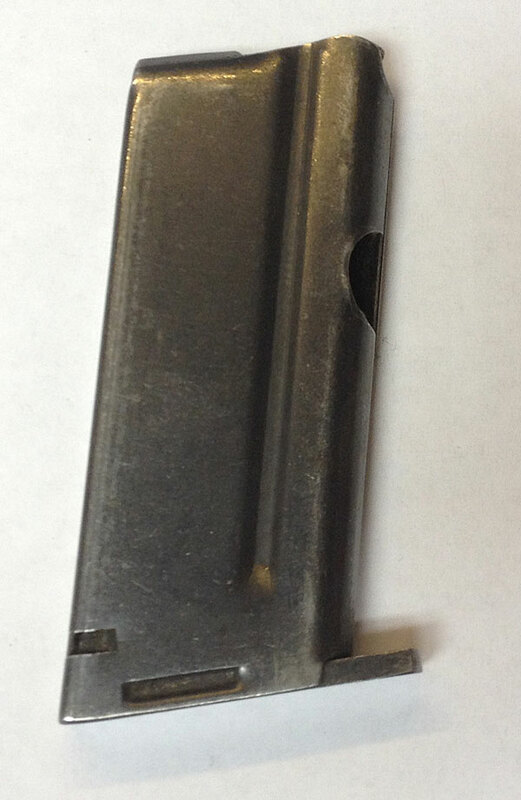 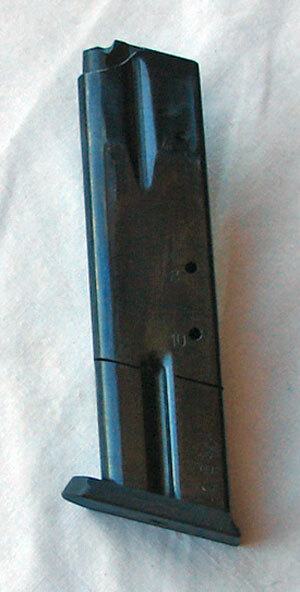 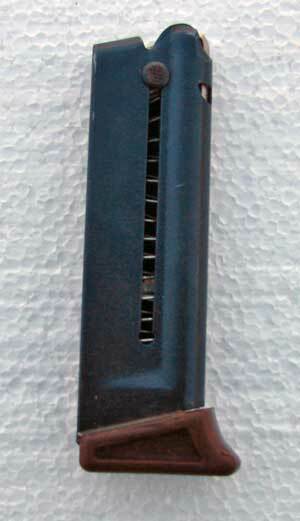 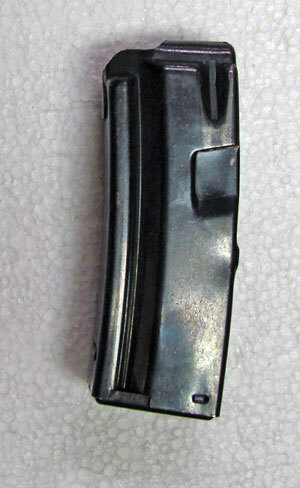 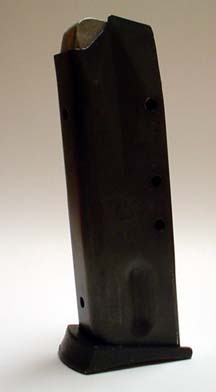 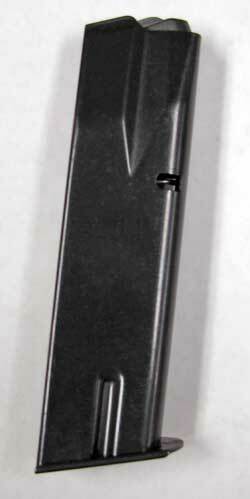 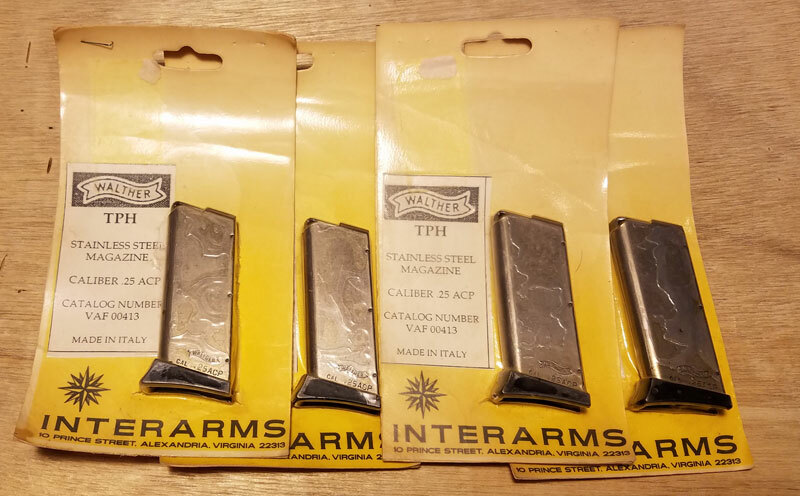 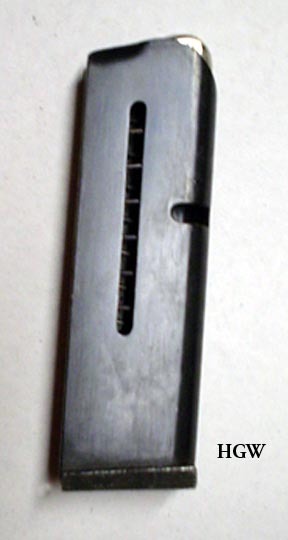 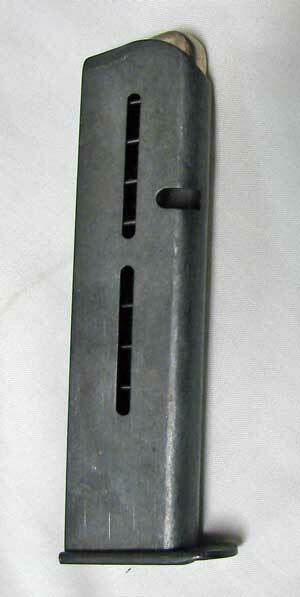 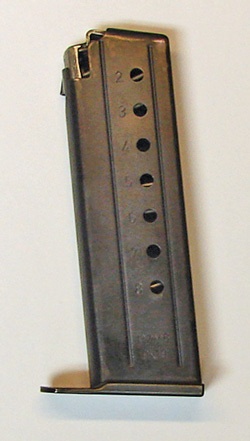 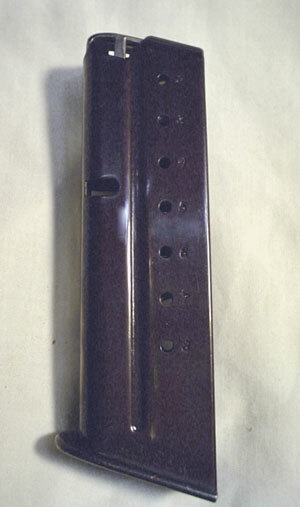 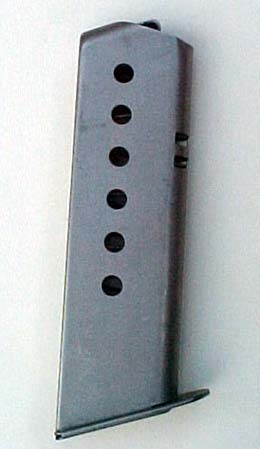 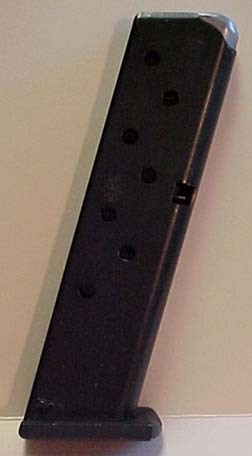 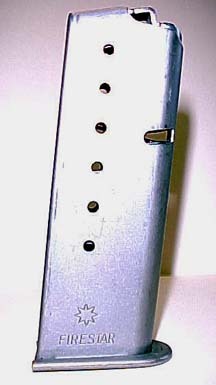 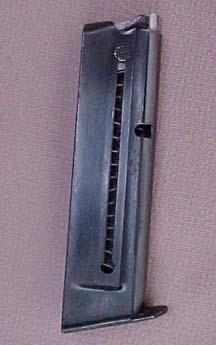 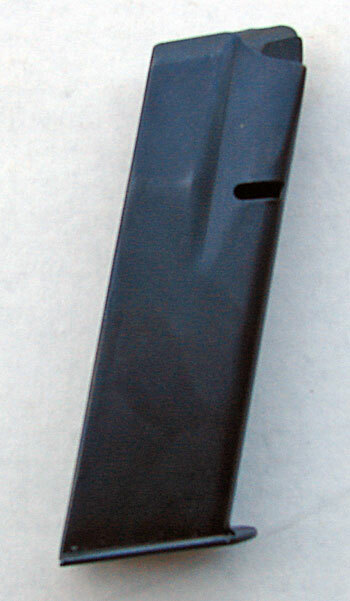 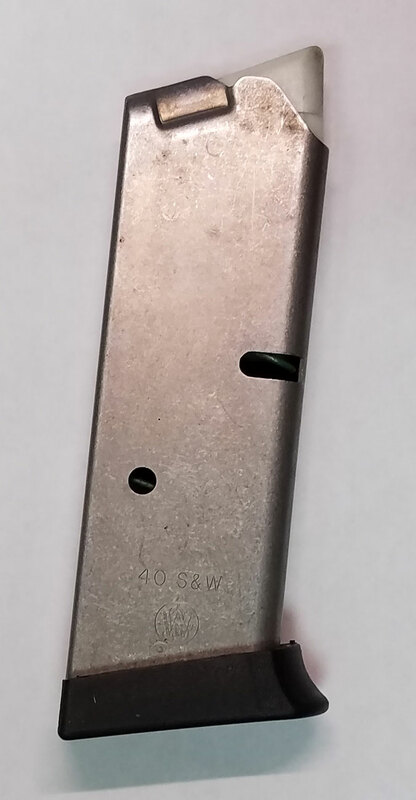 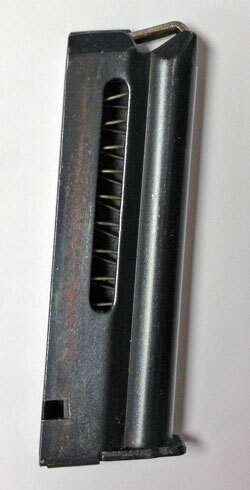 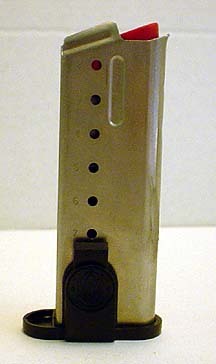 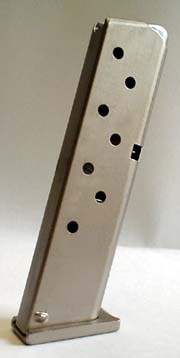 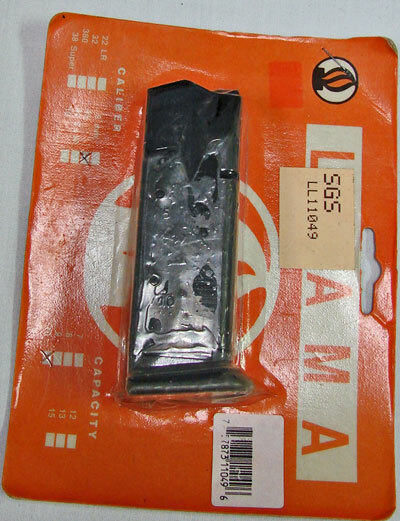 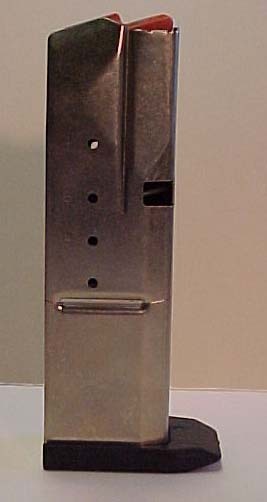 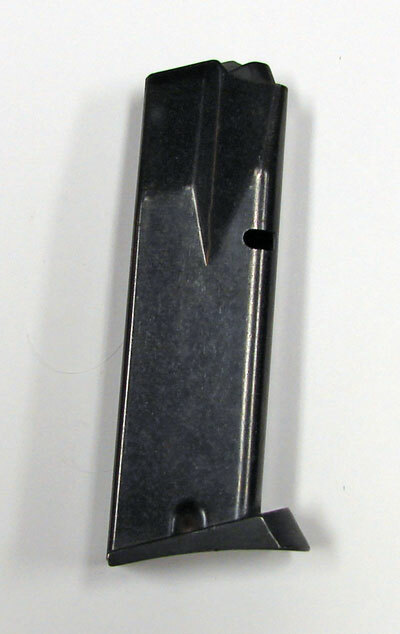 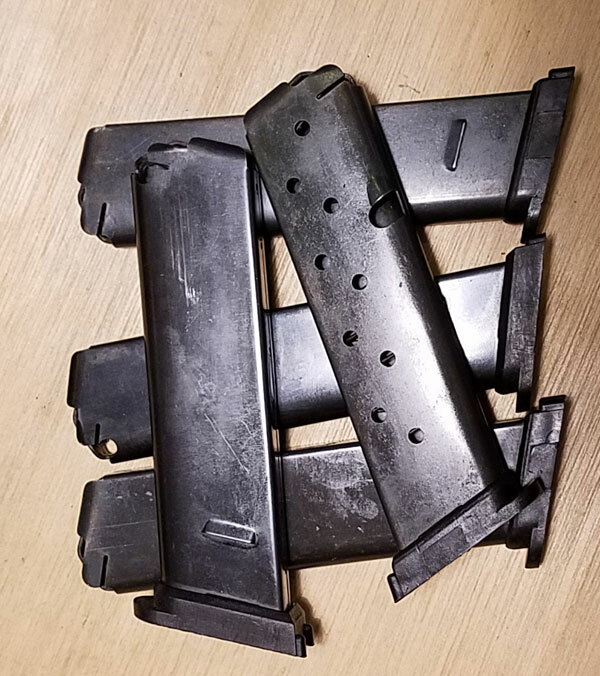 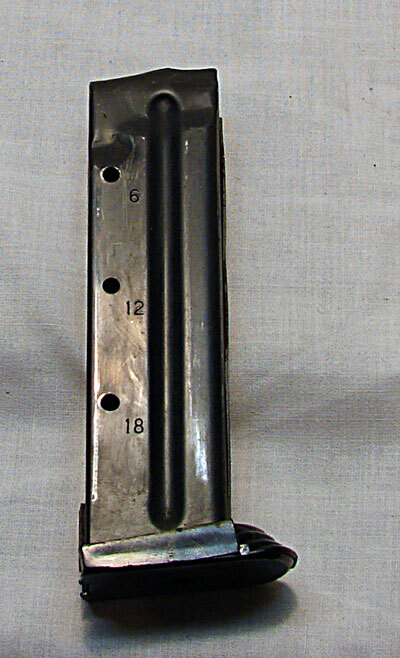 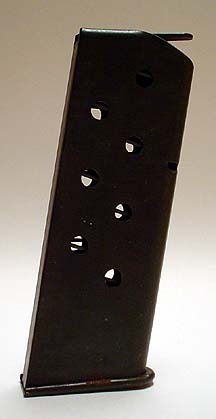 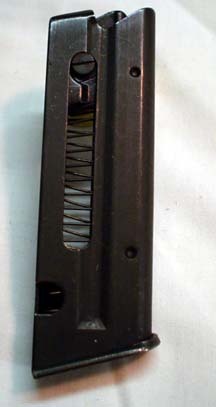 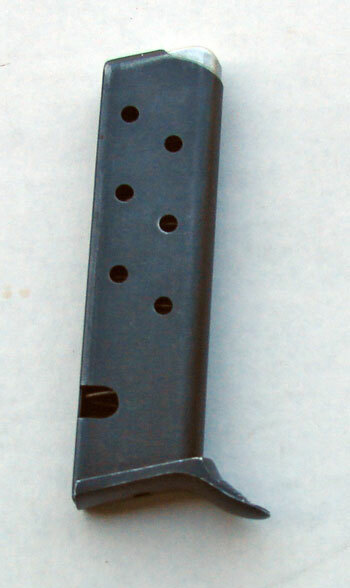 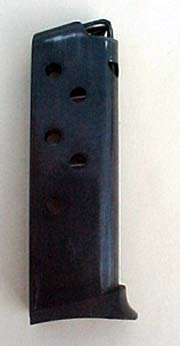 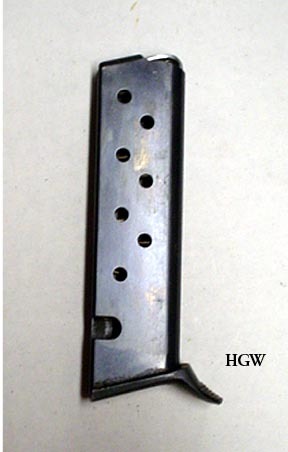 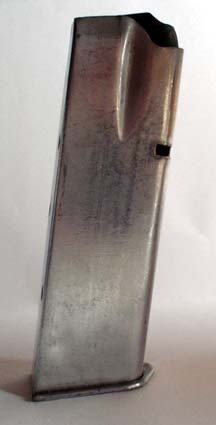 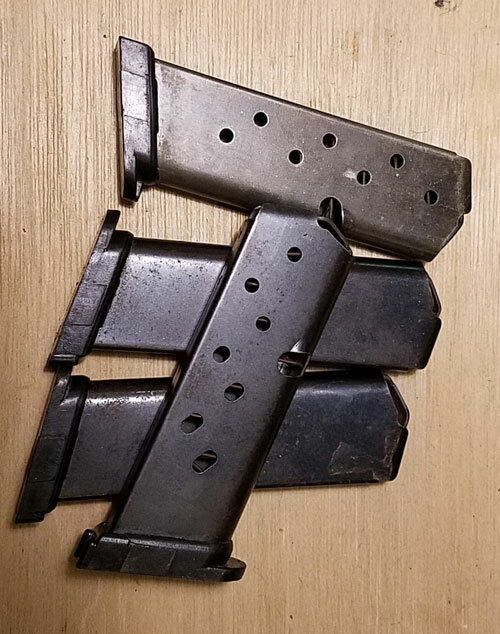 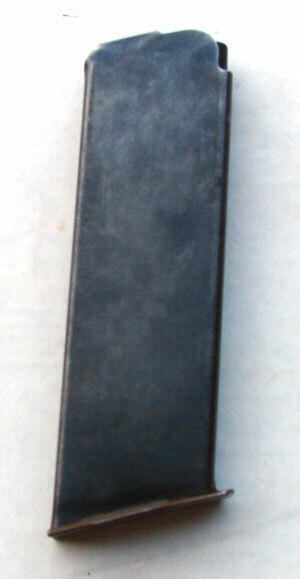 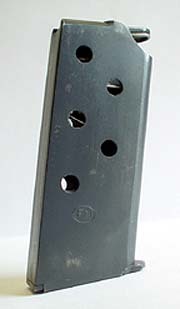 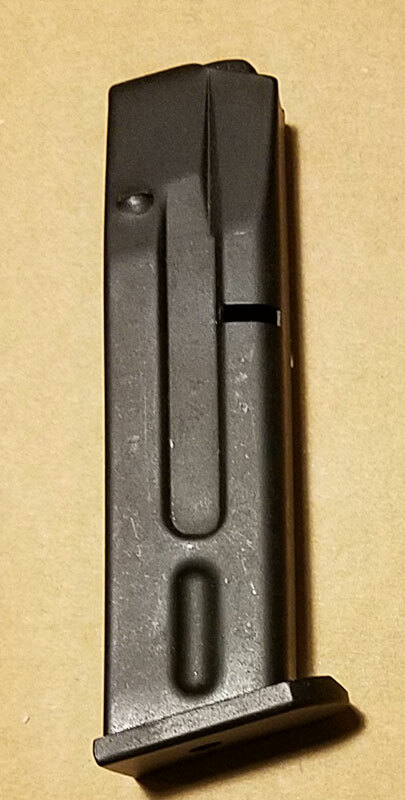 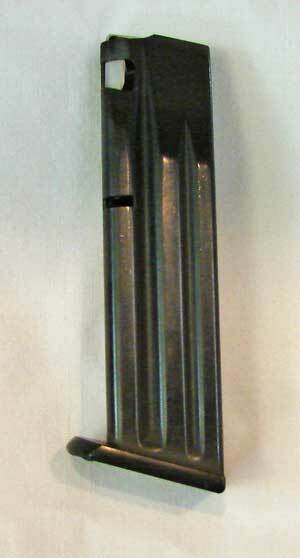 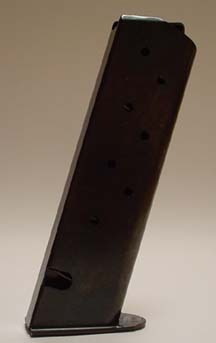 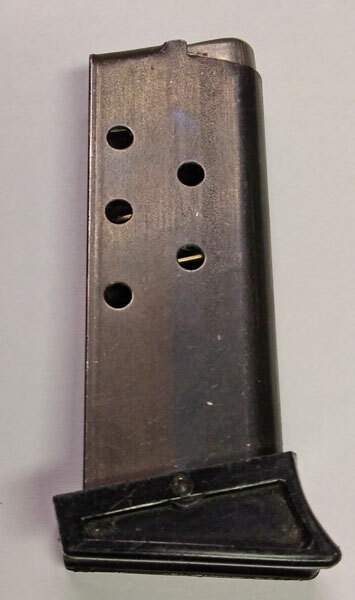 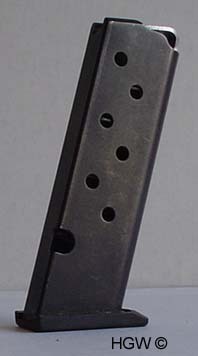 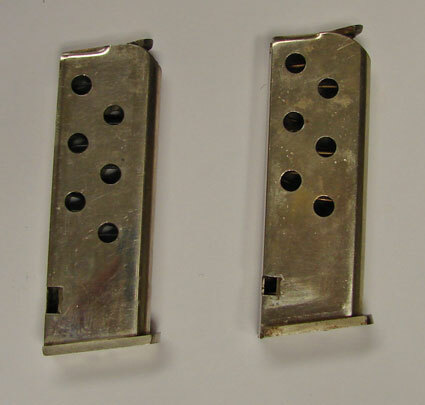 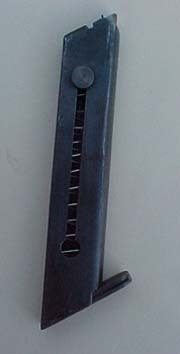 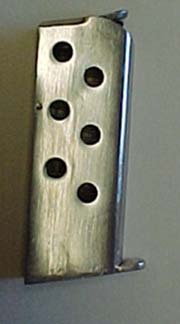 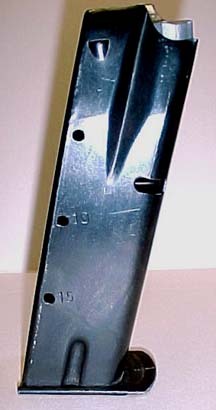 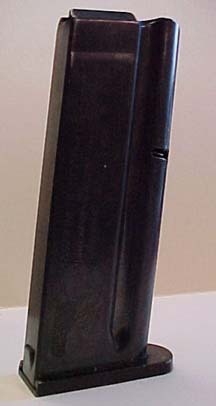 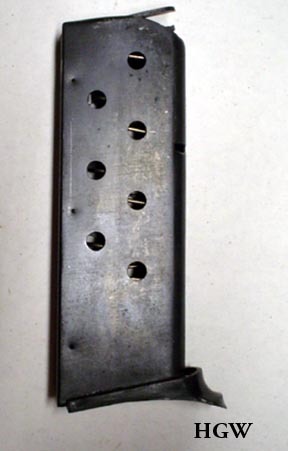 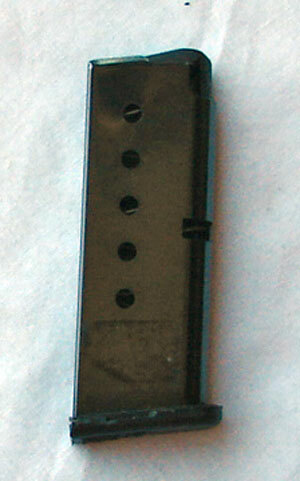 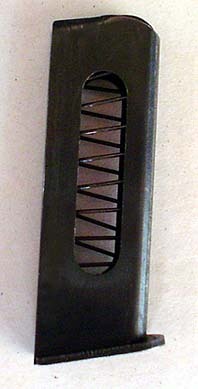 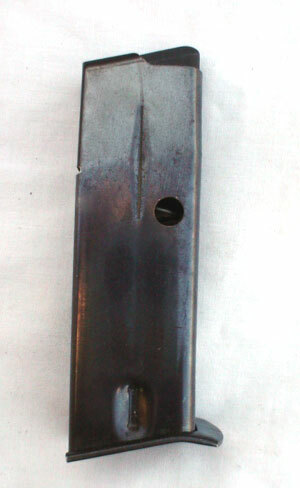 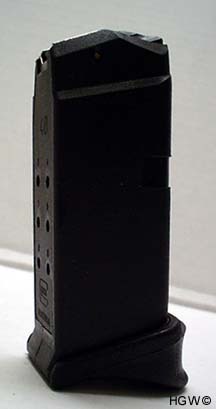 TOKAREV M-213 CHINESE 9MM 8 SHOT NARROW 1 1/4"
HIGH CAPACITY MAGAZINES. 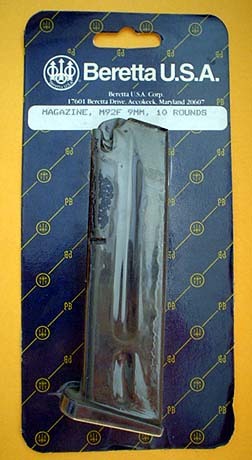 WE HAVE SEVERAL 100'S MAGAZINES. 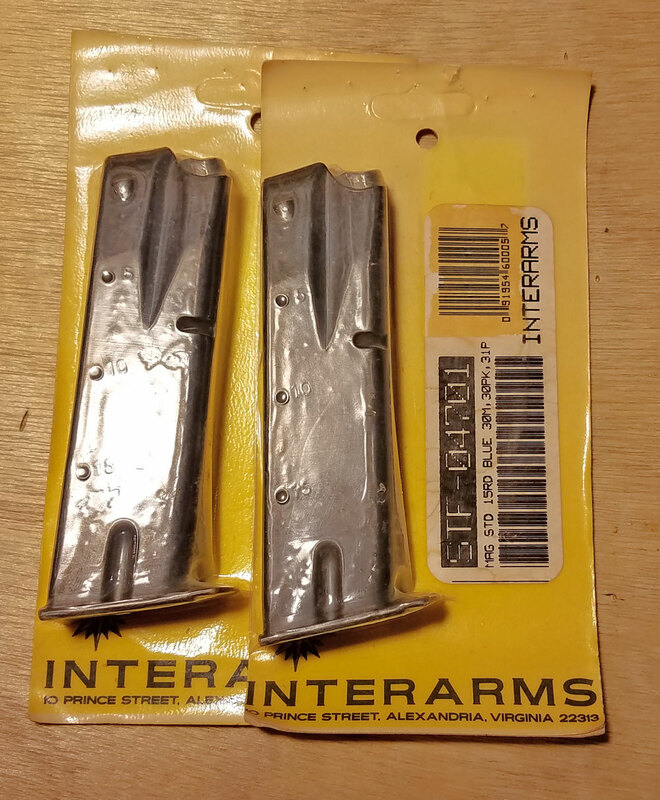 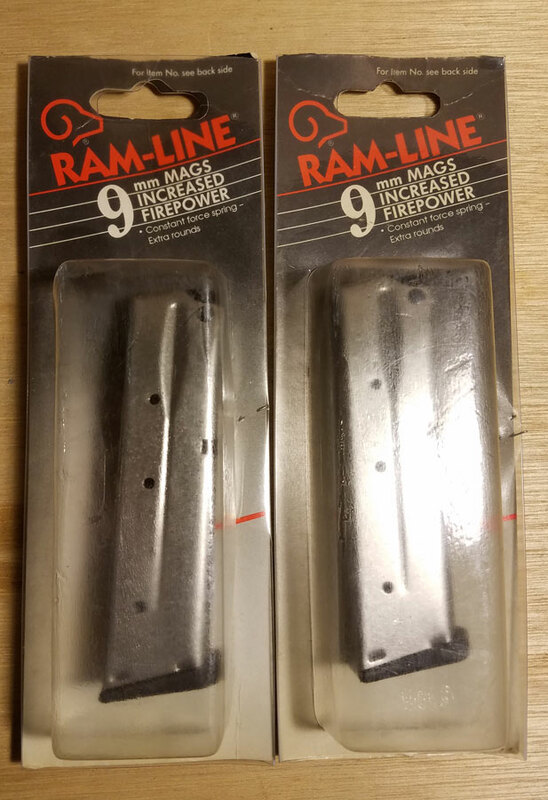 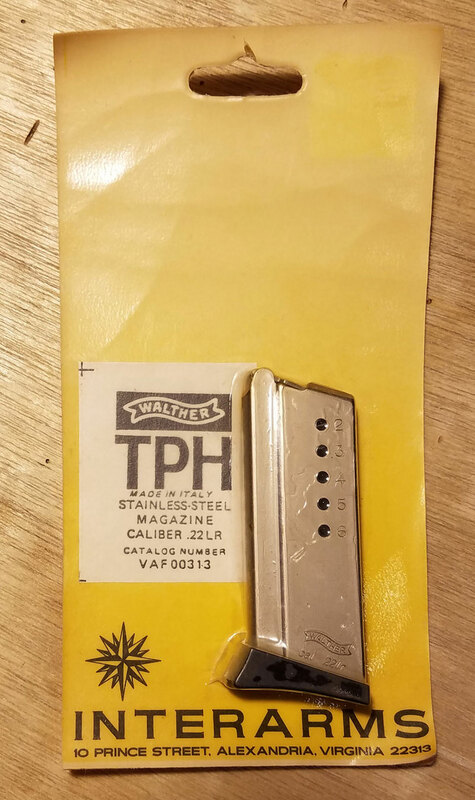 THESE AFTERMARKET AND WE ARE NOT SURE OF THE TYPE OF PISTOL THEY FIT. 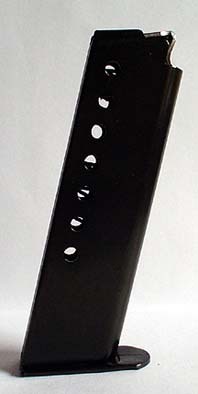 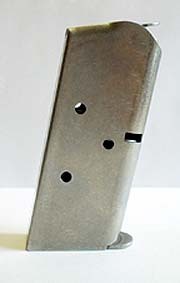 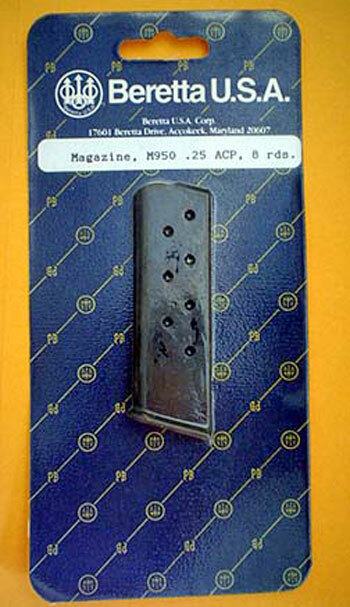 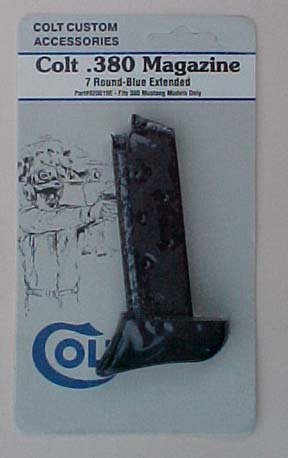 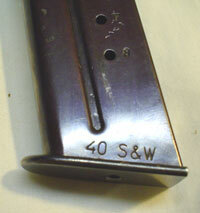 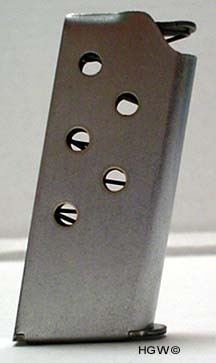 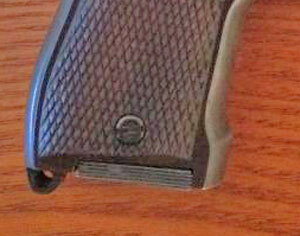 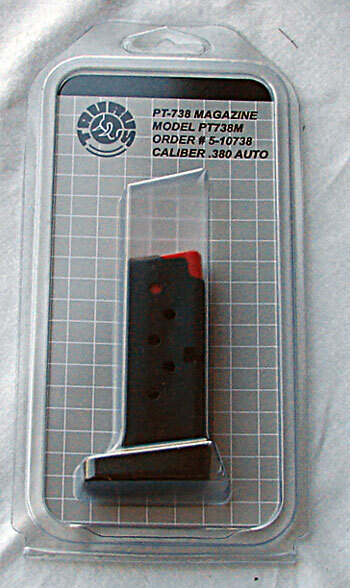 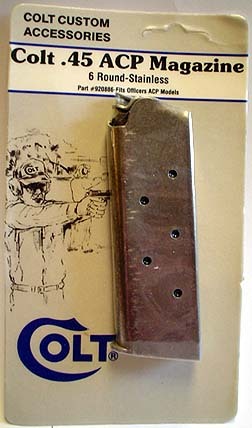 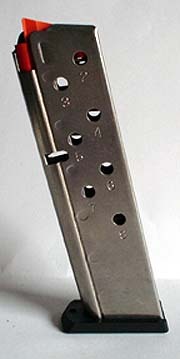 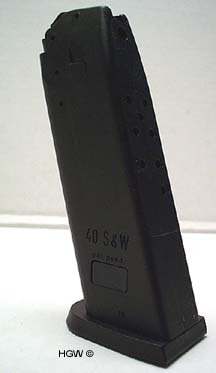 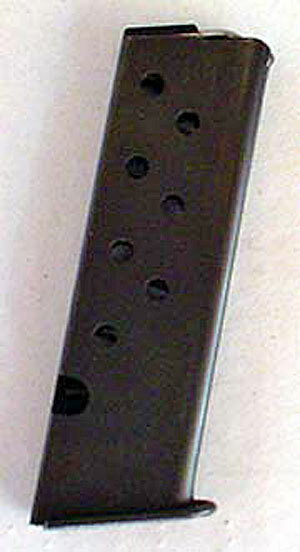 Check out Our Military Pistol Magazine page also. 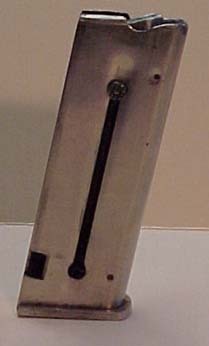 We do not ship Internationally and we do not accept payments from International Countries even if you have a USA shipping address. 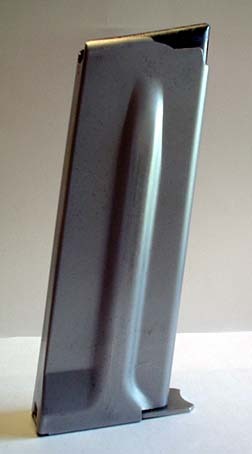 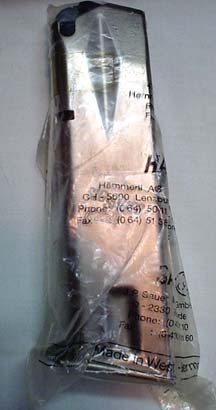 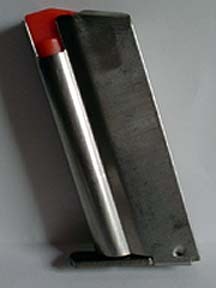 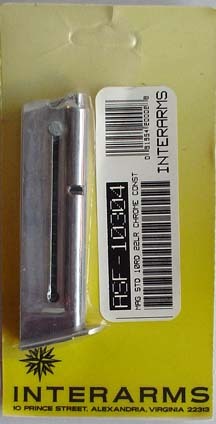 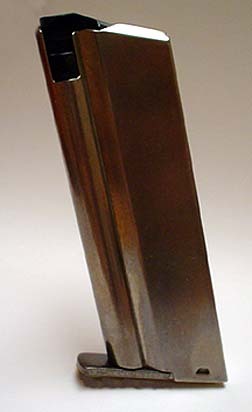 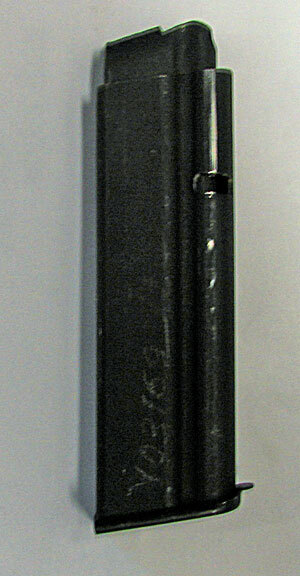 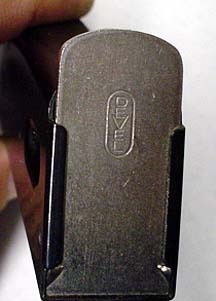 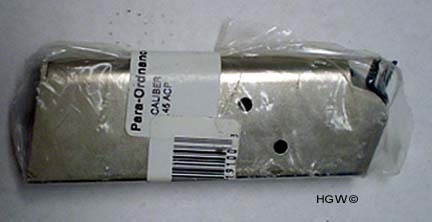 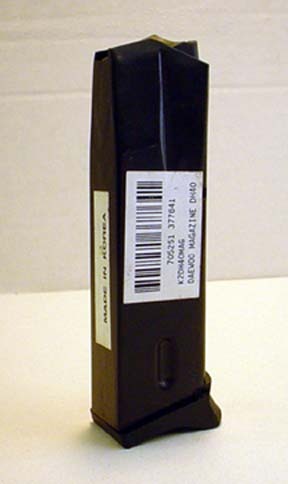 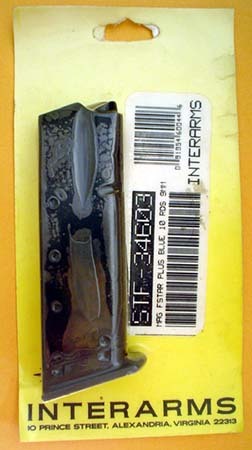 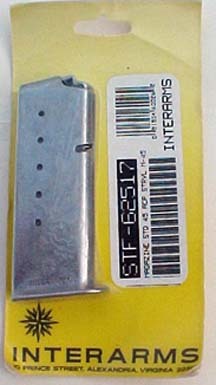 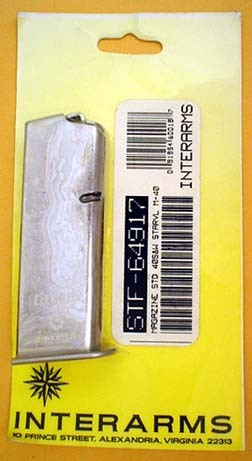 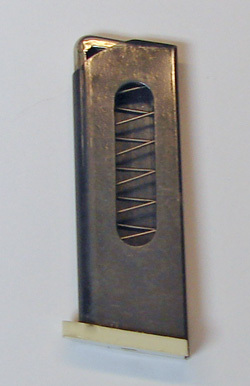 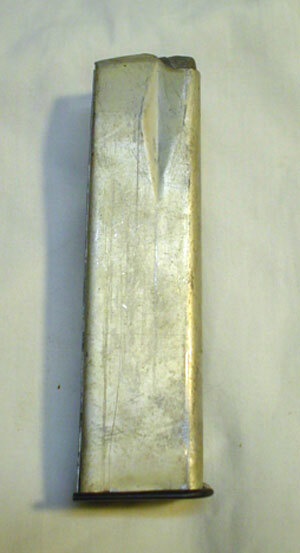 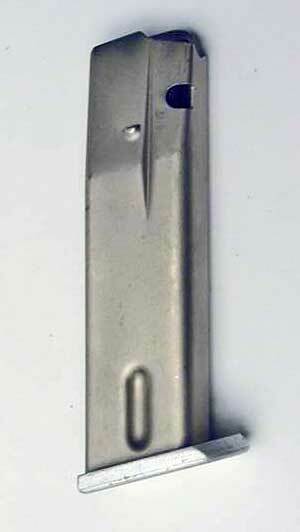 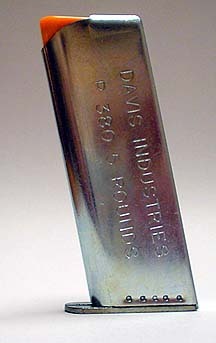 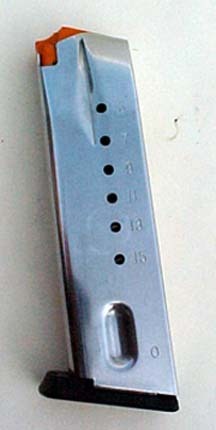 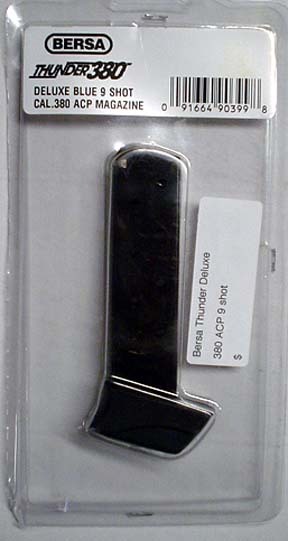 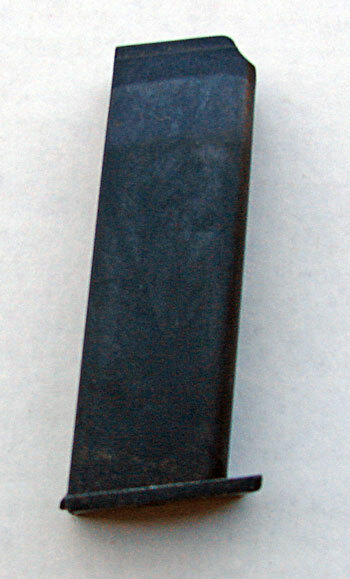 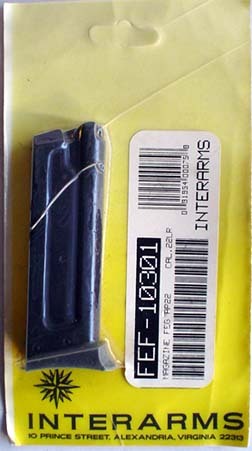 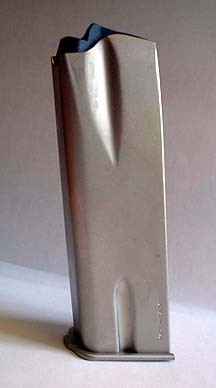 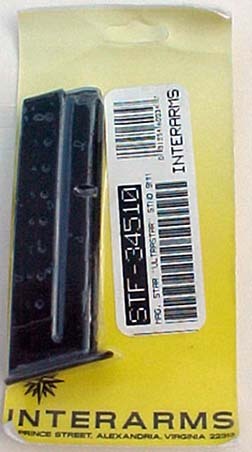 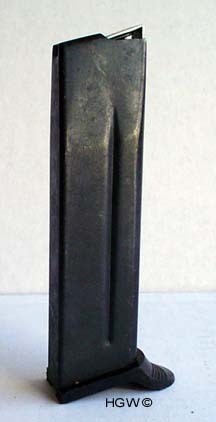 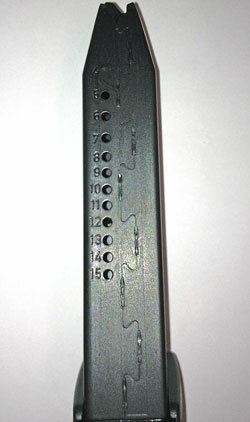 "Export of the commodities described herein is strictly prohibited without a valid export license issued by the U.S. Department of State, Office of Defense Trade Controls, prescribed in the International Traffic in Arms Regulation (ITAR), Title 22, Code of Federal Regulations, Parts 120-130" HGW does not have a Export License. 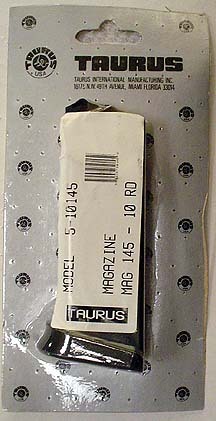 After Market magazines We don't guarrrantee after Market magaiznes. 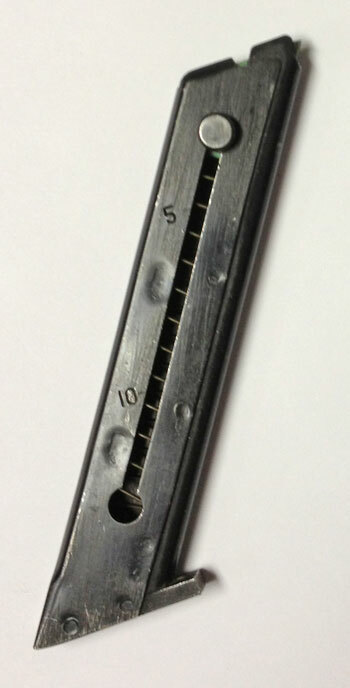 These may need some adjustment to function properly. 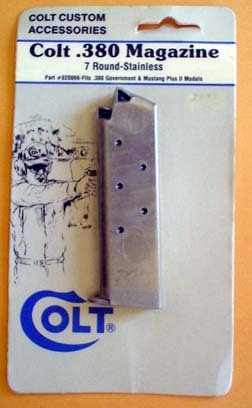 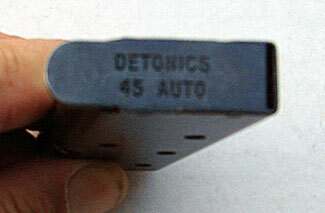 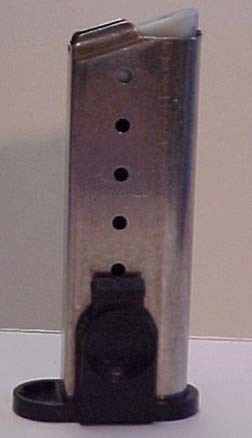 TFC = TOM FOREST AND CO.
Never hand cycle live ammo thru a firearm. 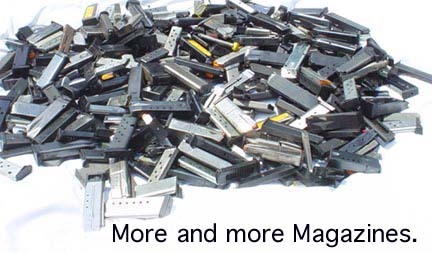 We get our magazines thru Distributors, Collections, buyouts from Stores and Individuals..
Used magazines sold as is. 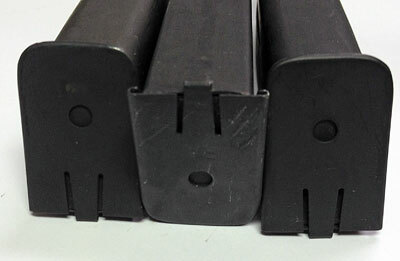 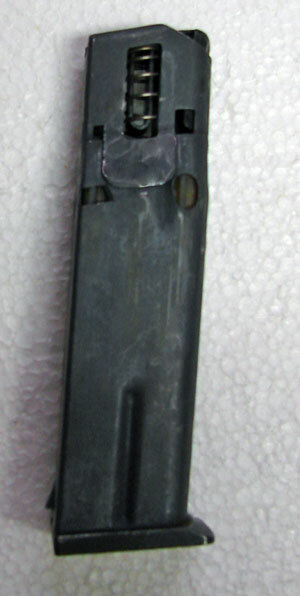 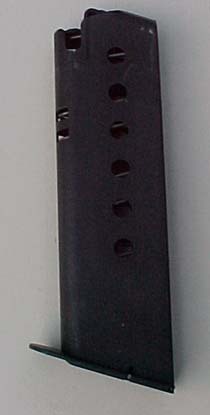 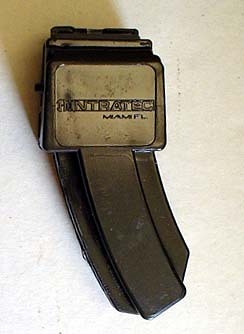 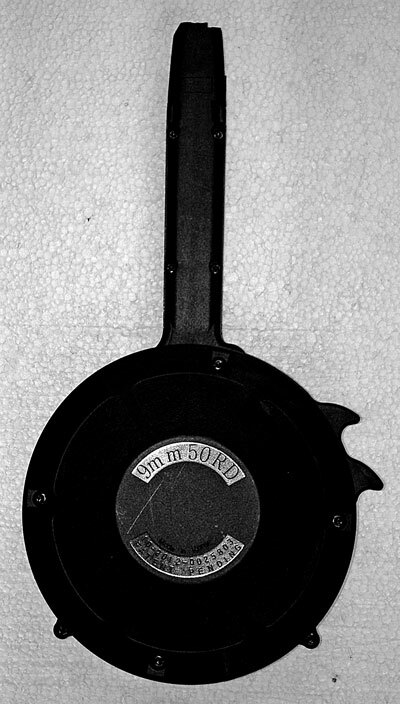 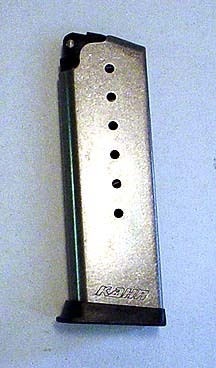 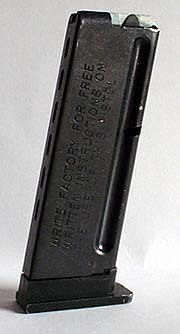 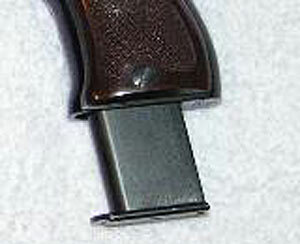 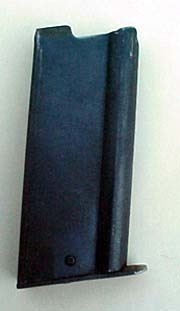 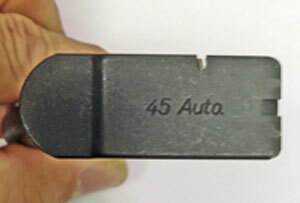 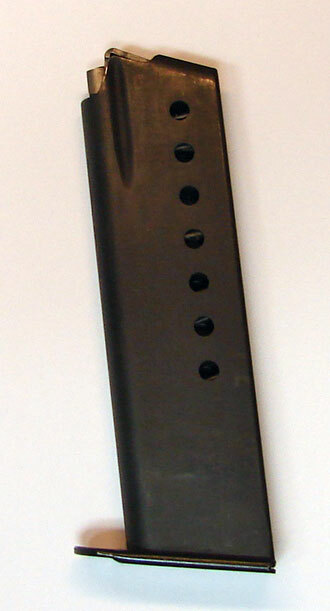 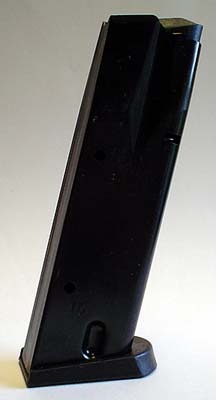 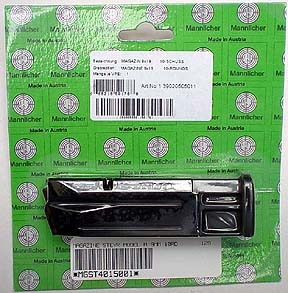 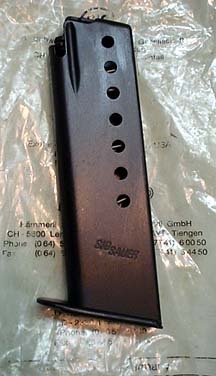 New magazines are covered by the manufactures warranty.